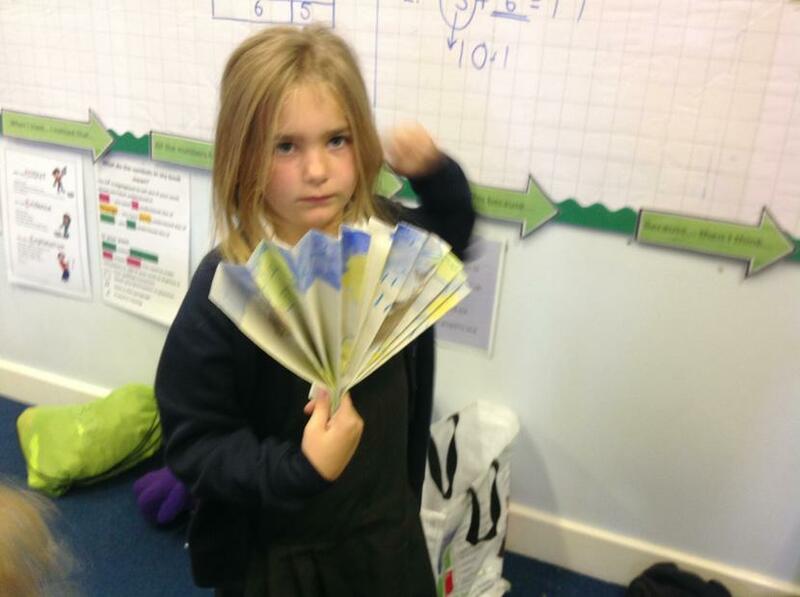 Around the World in 6 Weeks! 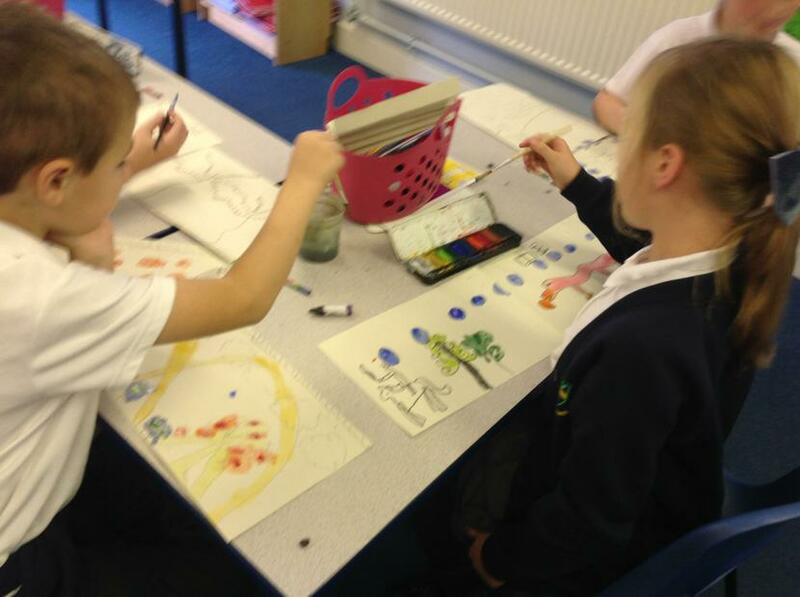 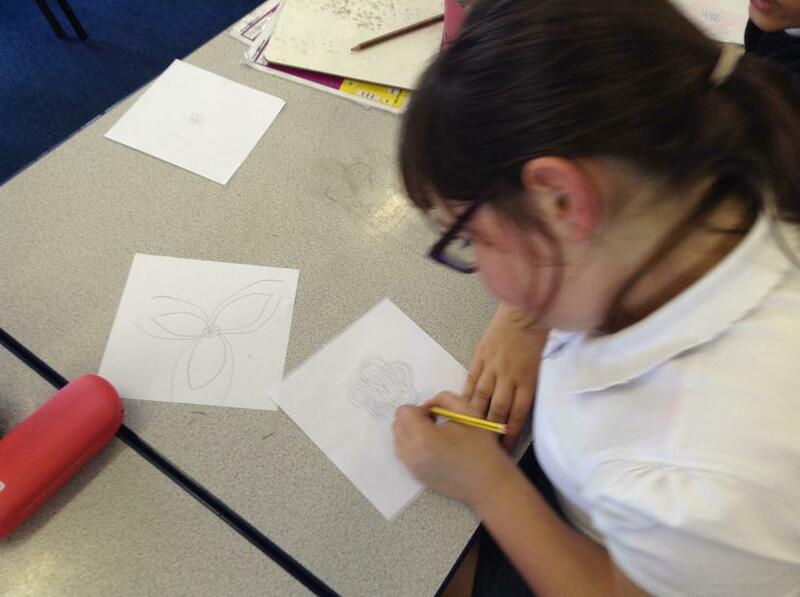 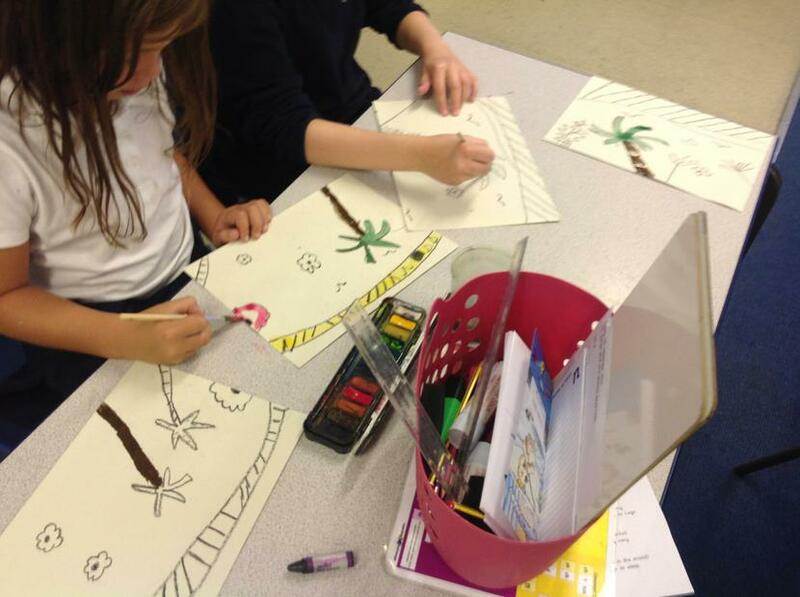 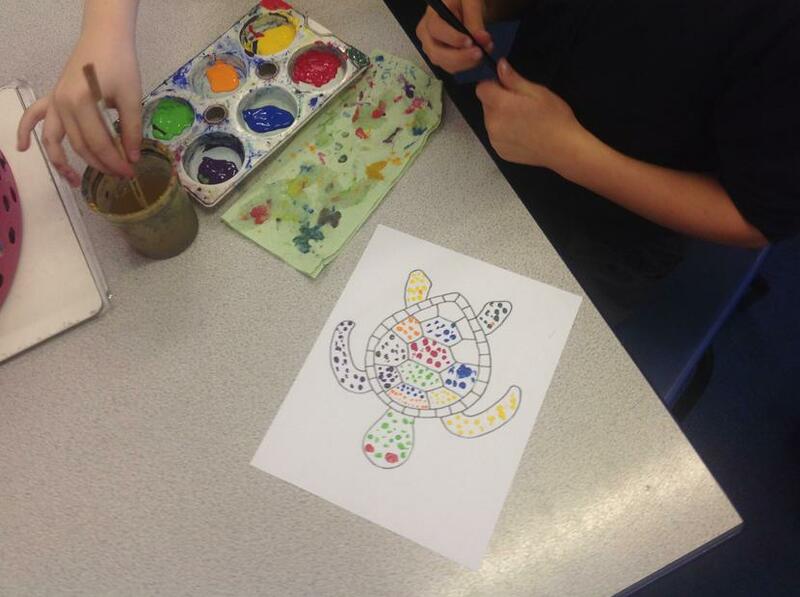 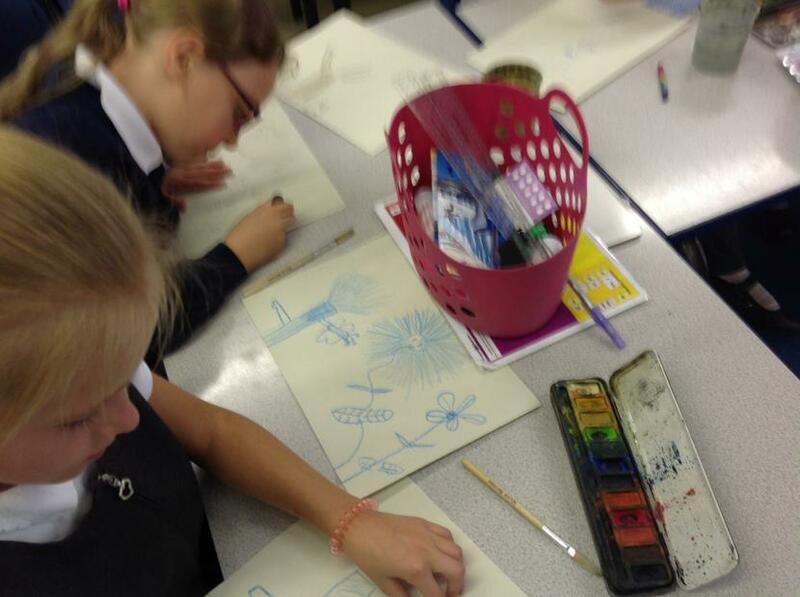 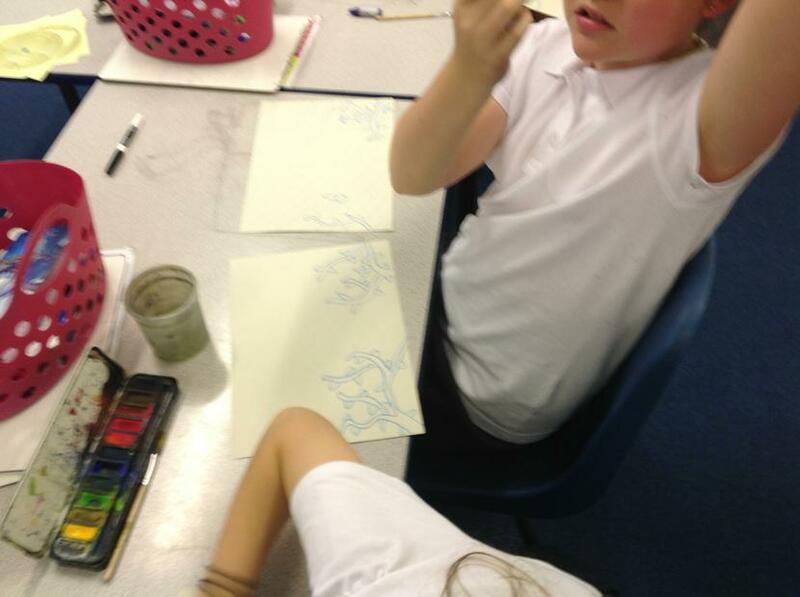 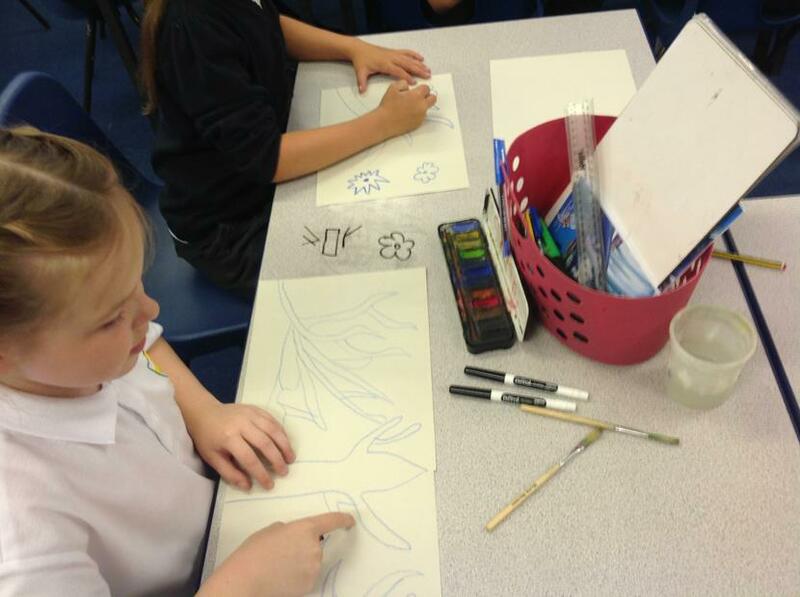 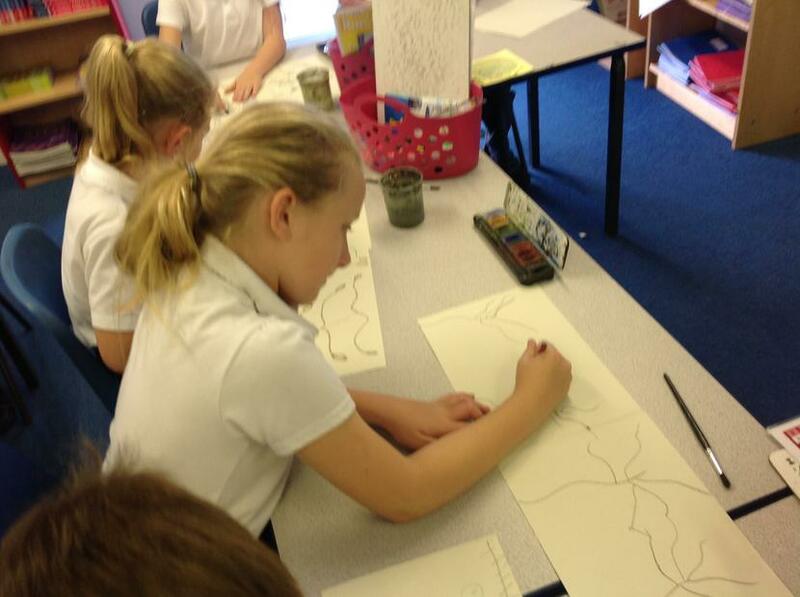 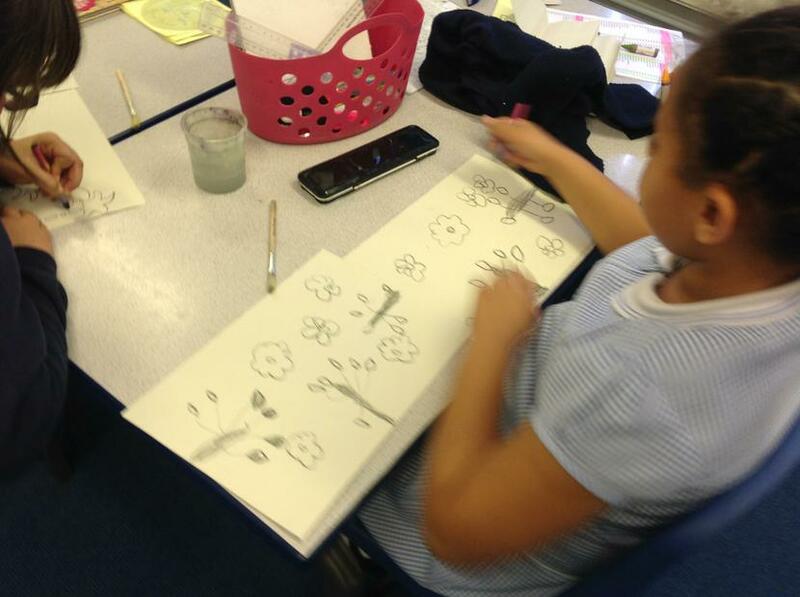 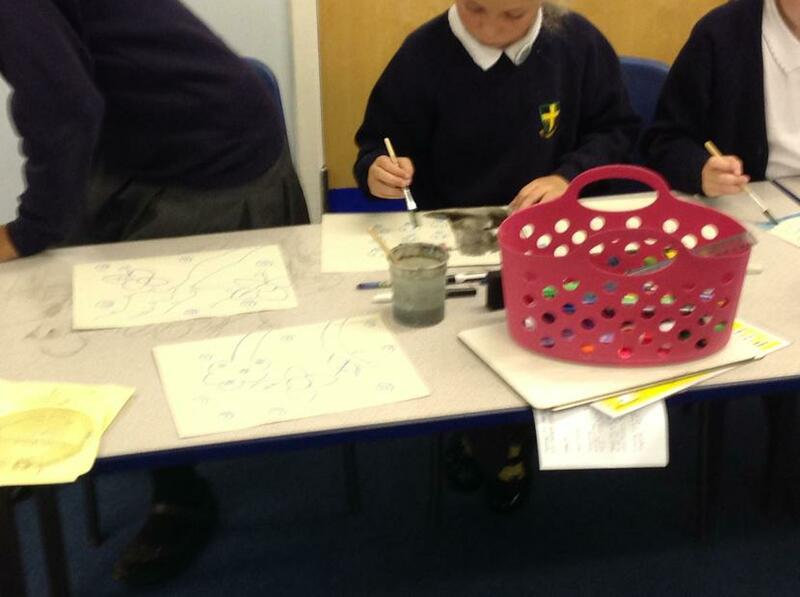 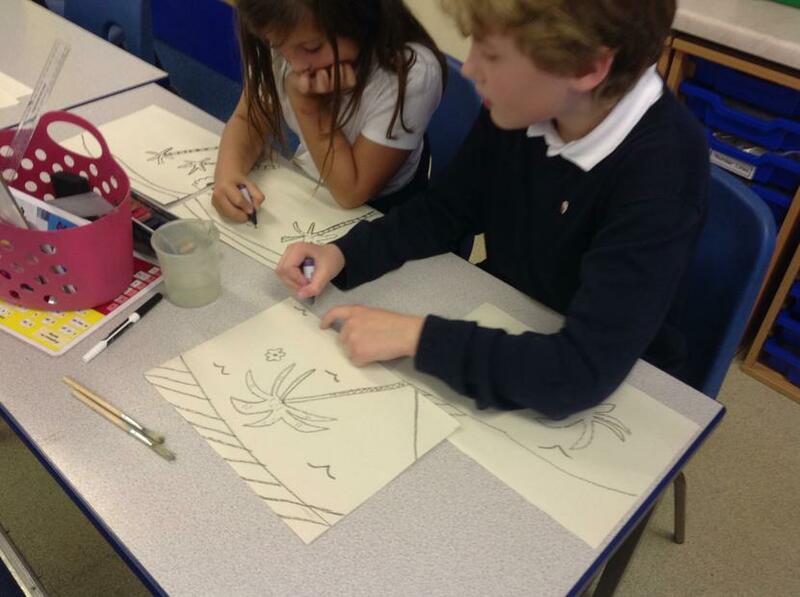 In art club, ran by Miss Livermore, we shall be visiting a different country each week. 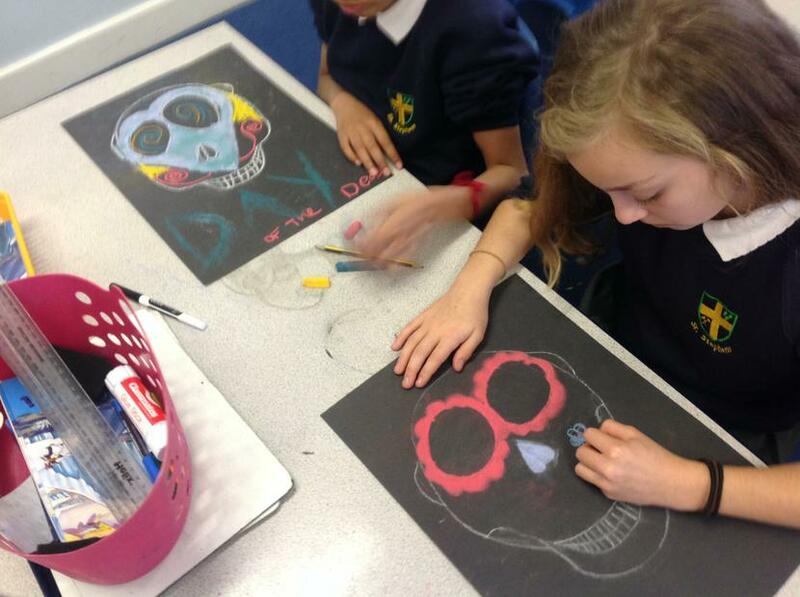 We will be starting in China, where we shall be creating our own fan, moving to Mexico for the Day of the Dead, Greece for mosaics, Australia for aboriginal art, India for Rangoli patterns and finally back home in the UK for pop art. 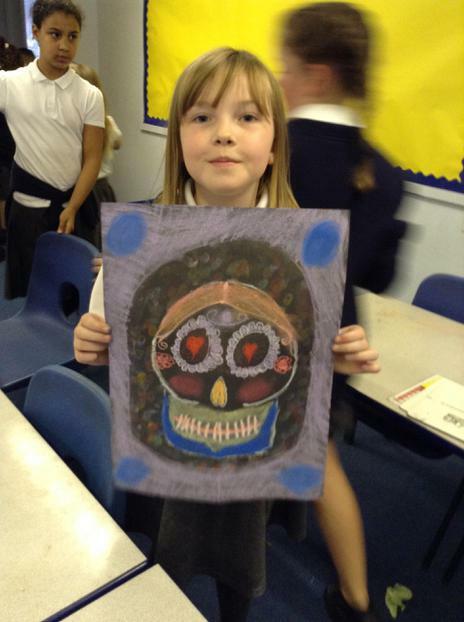 Through the countries we shall be learning about different art techniques and the culture and story behind each country. 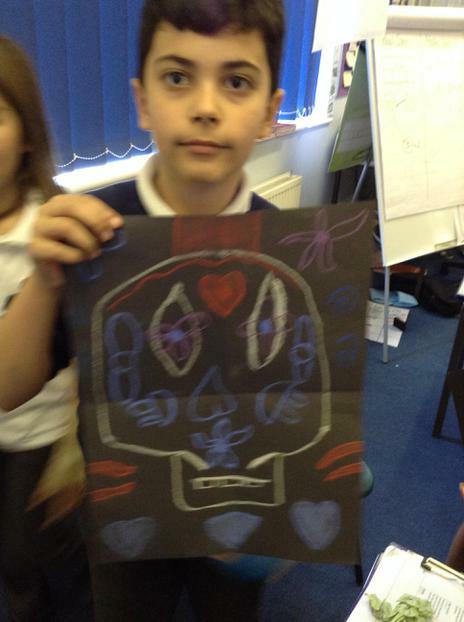 This week we learned that Egypt are well known for their amazing street art! 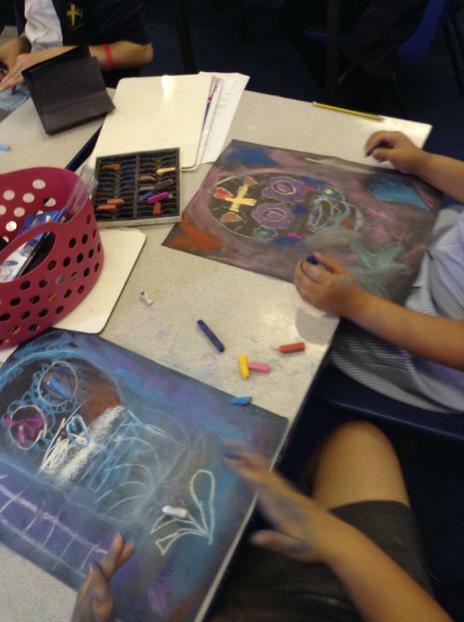 They use spray paint to create incredible cartoons and to recreate well known cartoons such as Teenage Mutant Ninja Turtles and Spngebob. 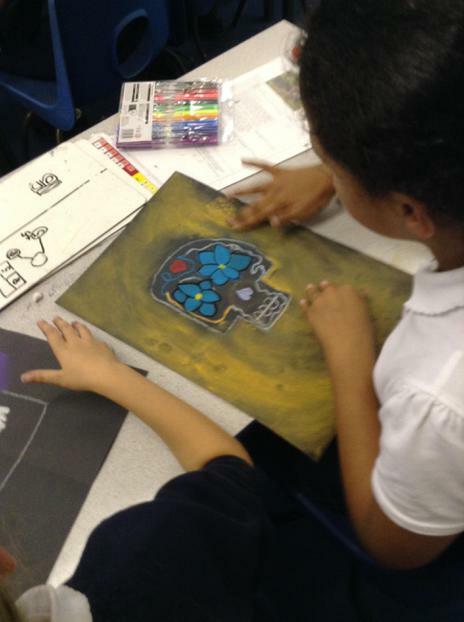 Not only do they use the wall but they use drains, street lamps and bins which are incorporated in their incredible art. 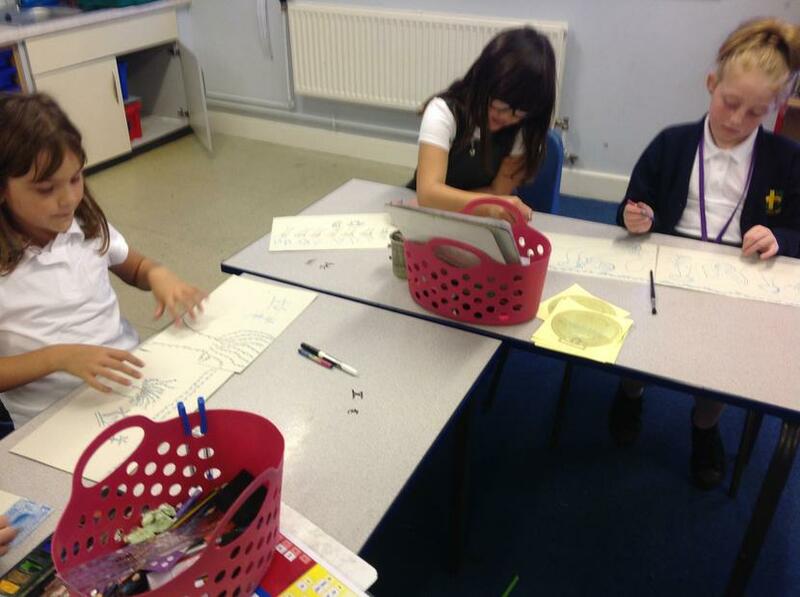 We had.a go at drawing or own and collated them together to create our wall! 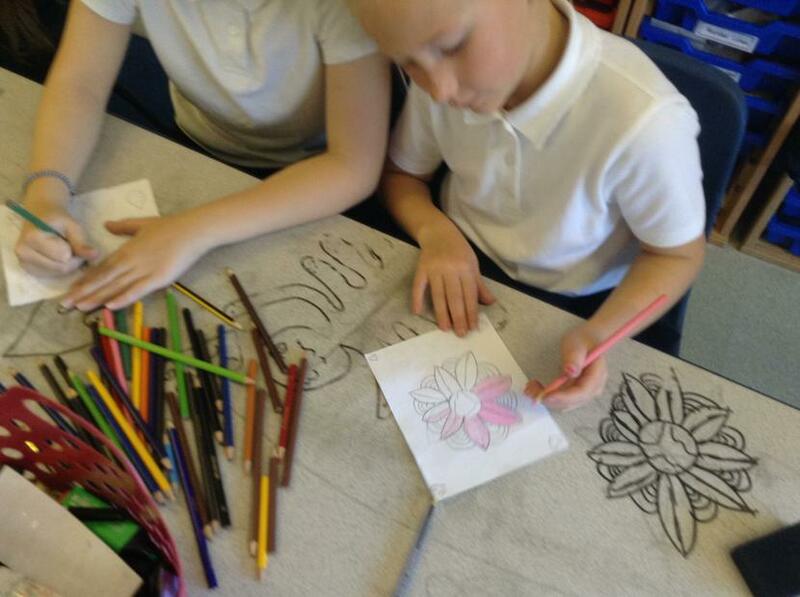 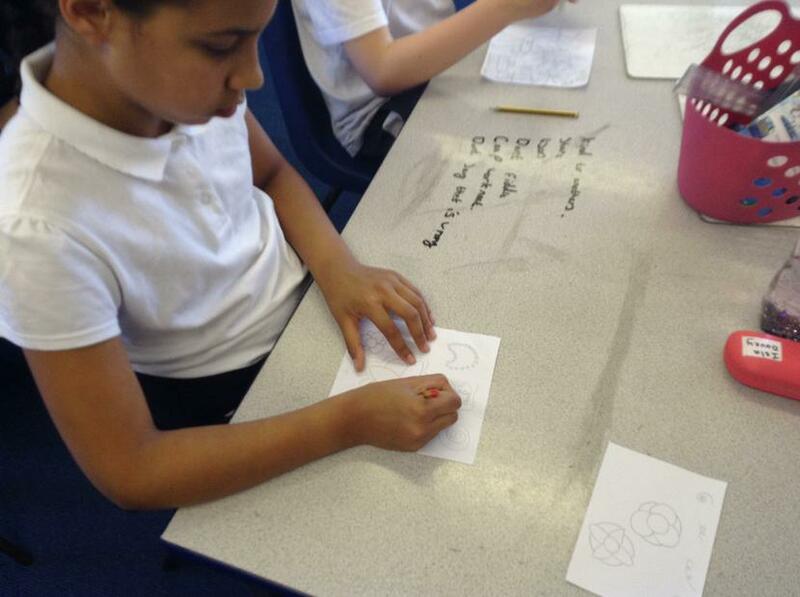 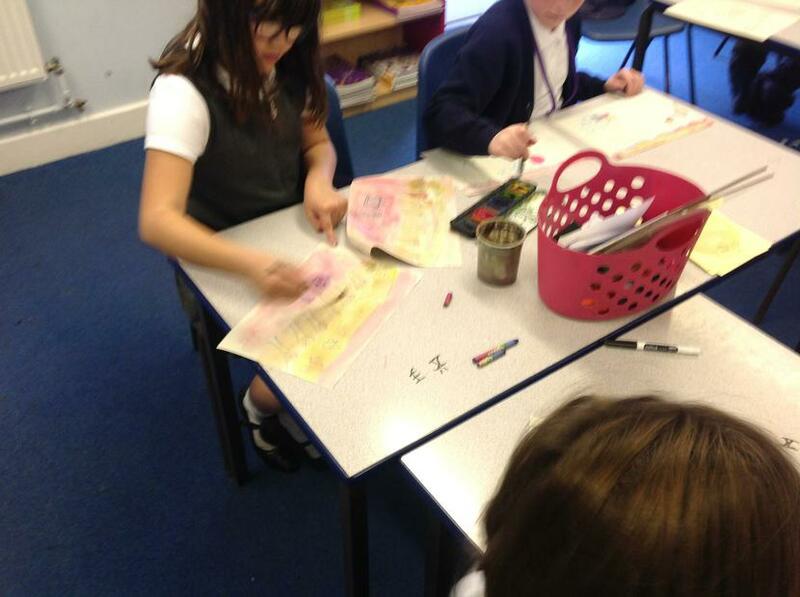 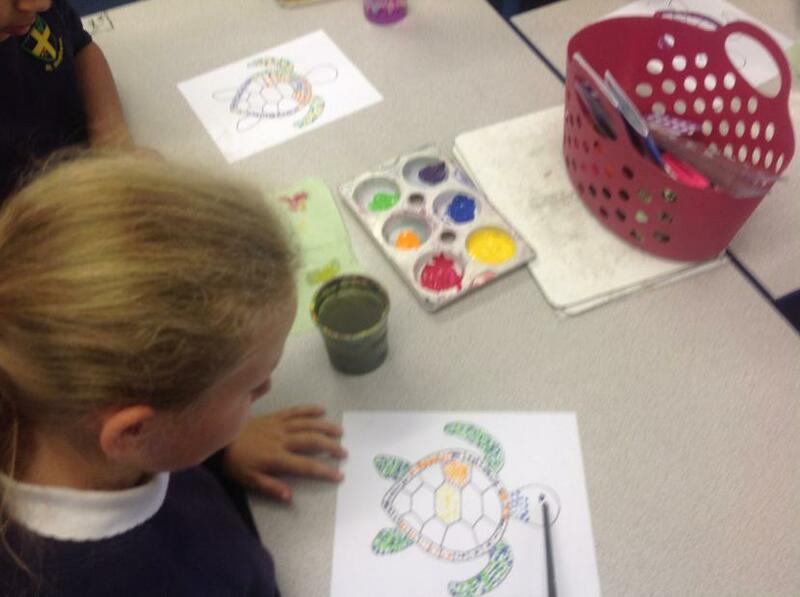 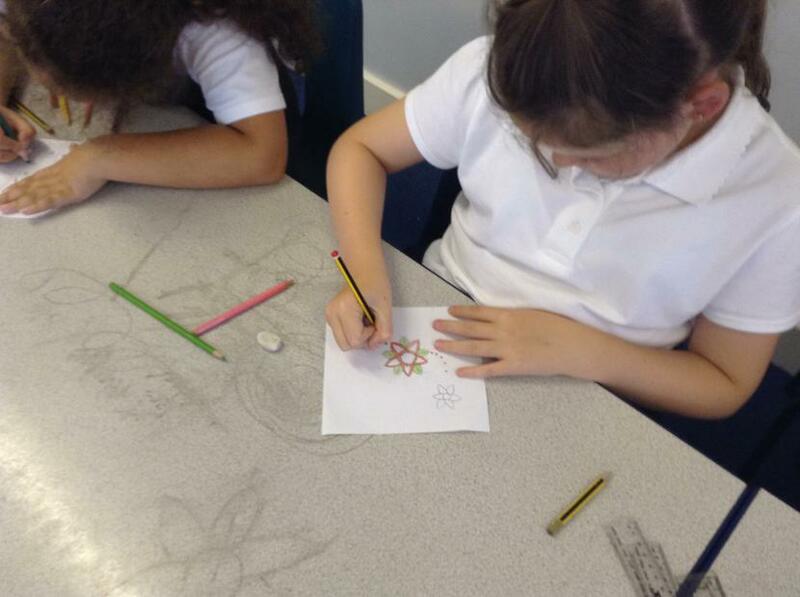 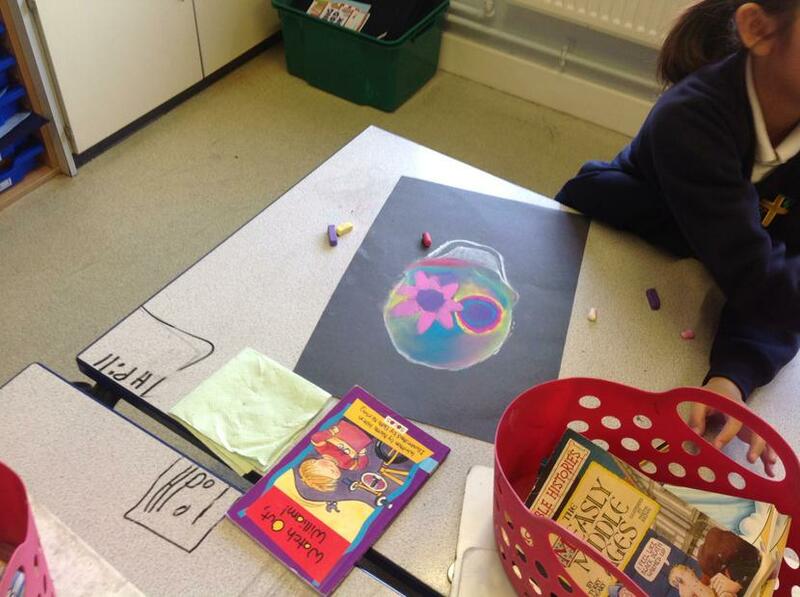 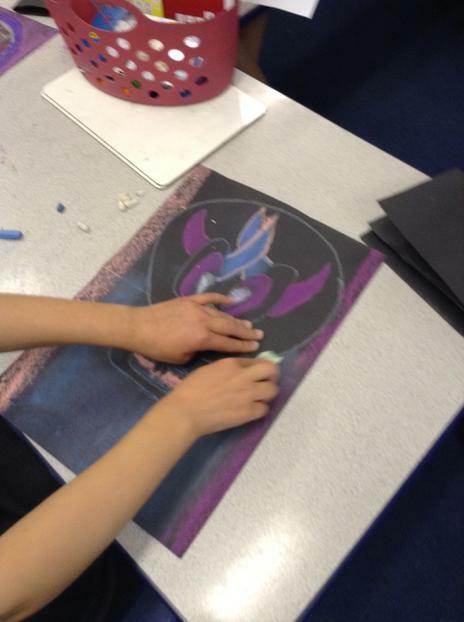 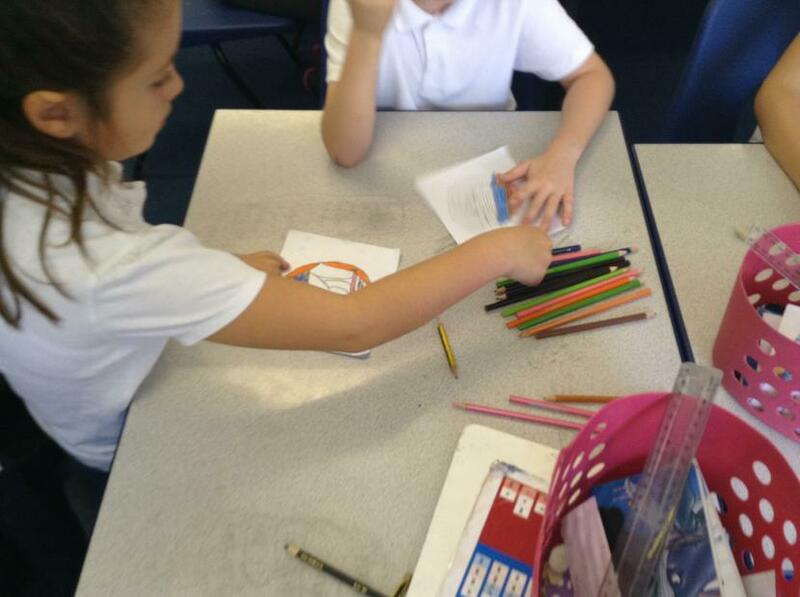 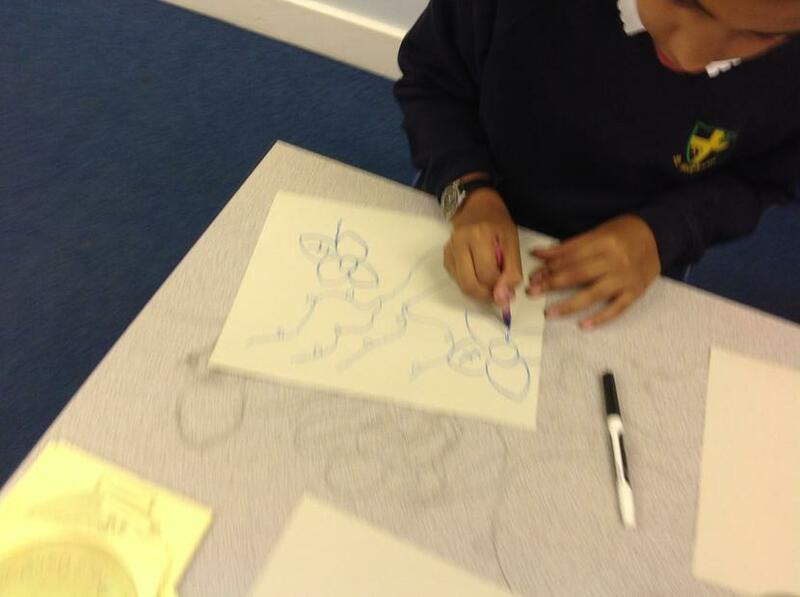 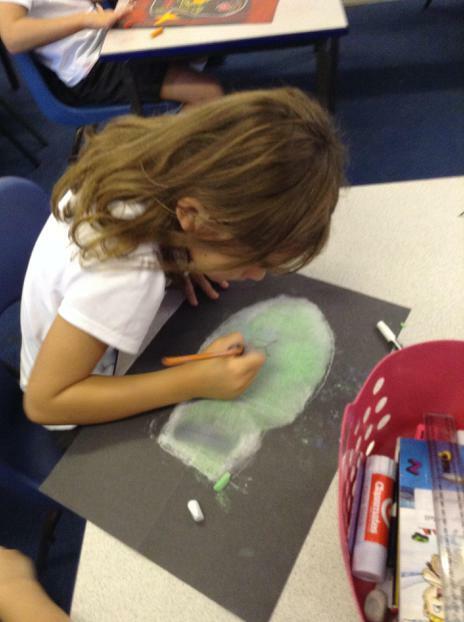 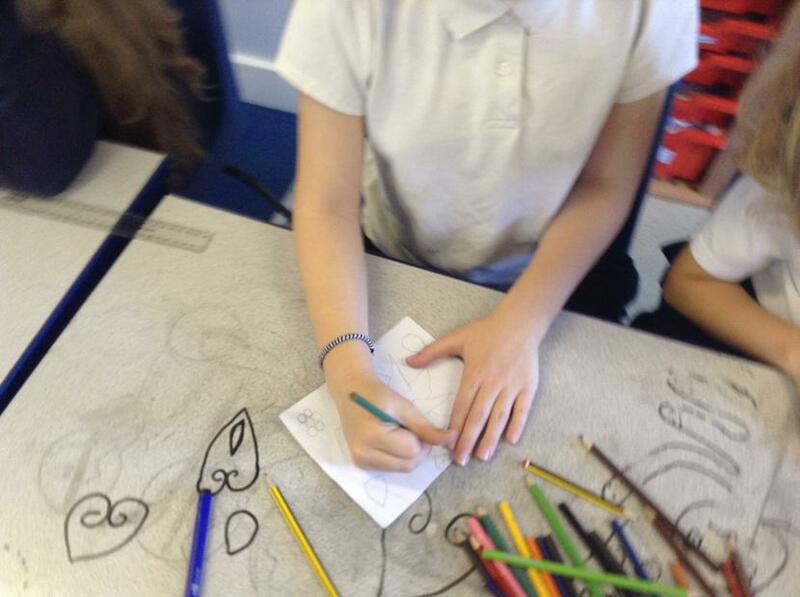 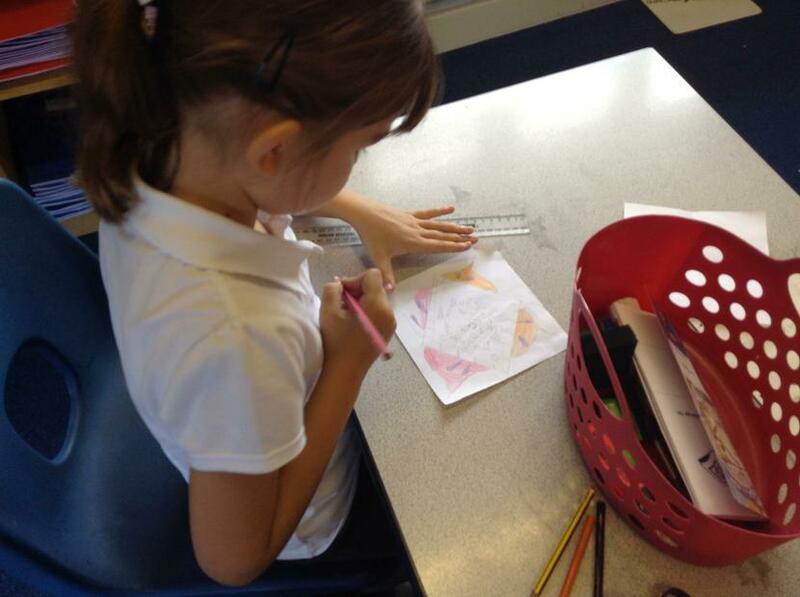 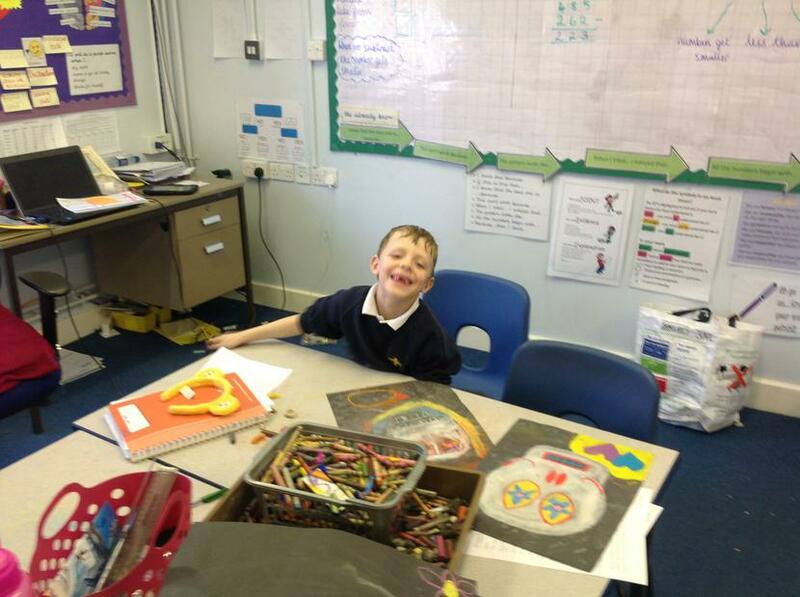 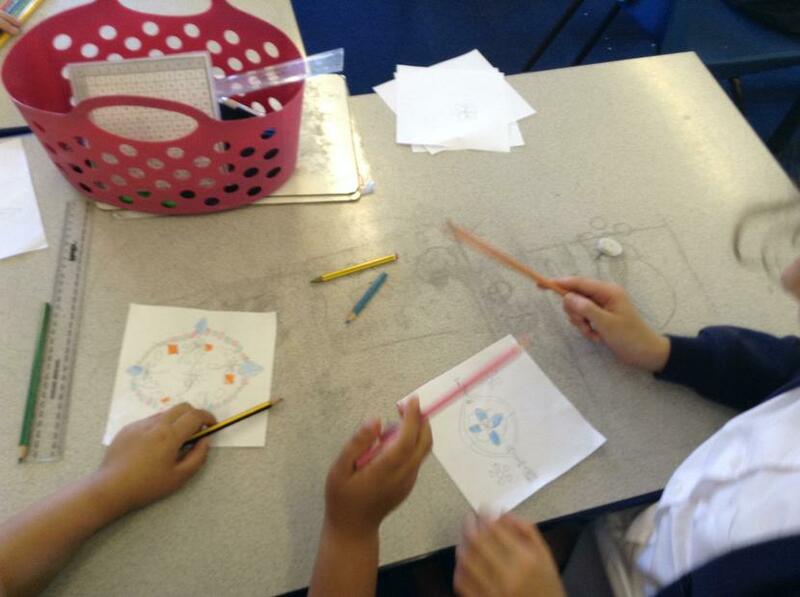 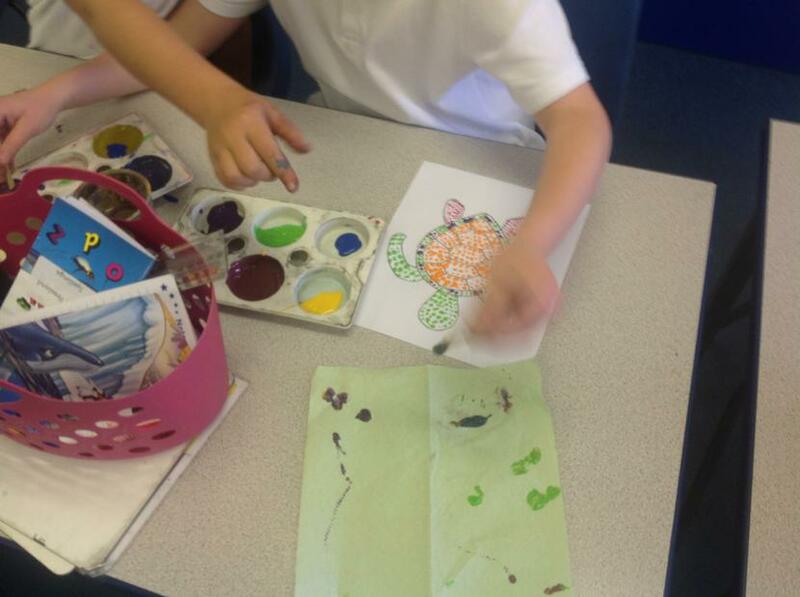 This week, we travelled all the way to India to learn about their beautiful Rangoli designs. 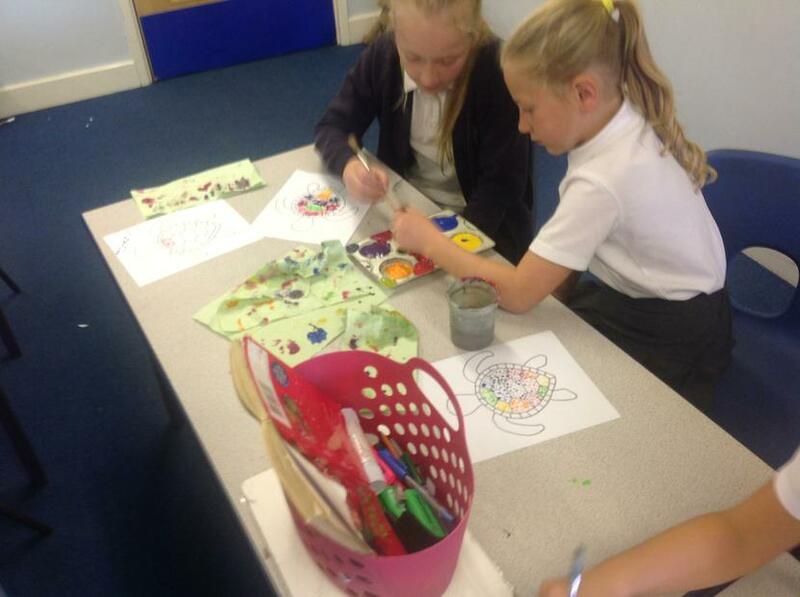 We learnt that they are put in doors and entrances to welcome others and that they are used to decorate places at Diwali time (a special Hindu festival.) 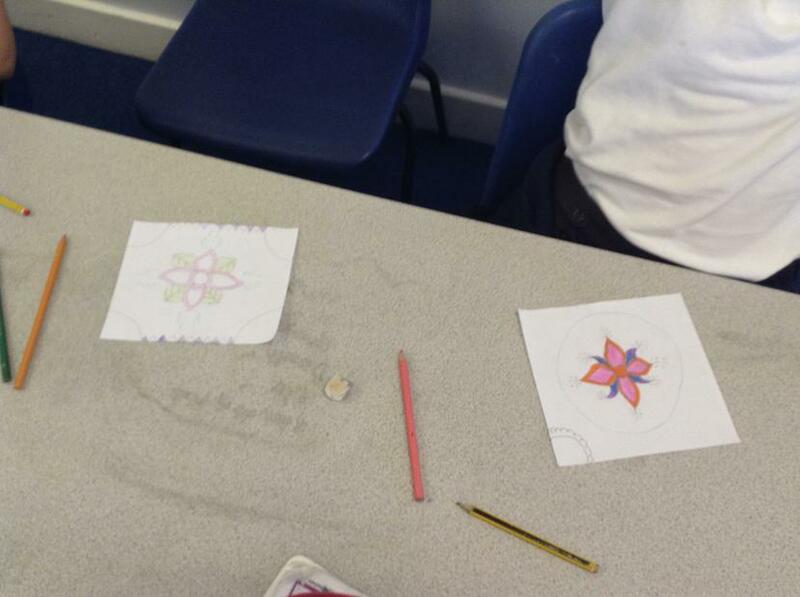 we incorporated both art and maths to create our very own Rangoli design. 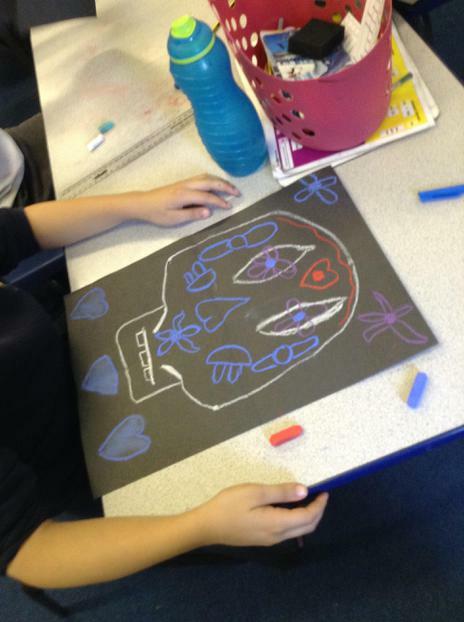 It was tricky because we had to try and make them as symmetrical as we could! 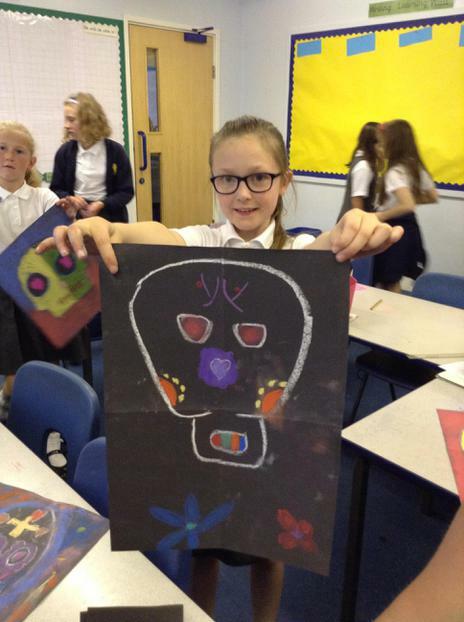 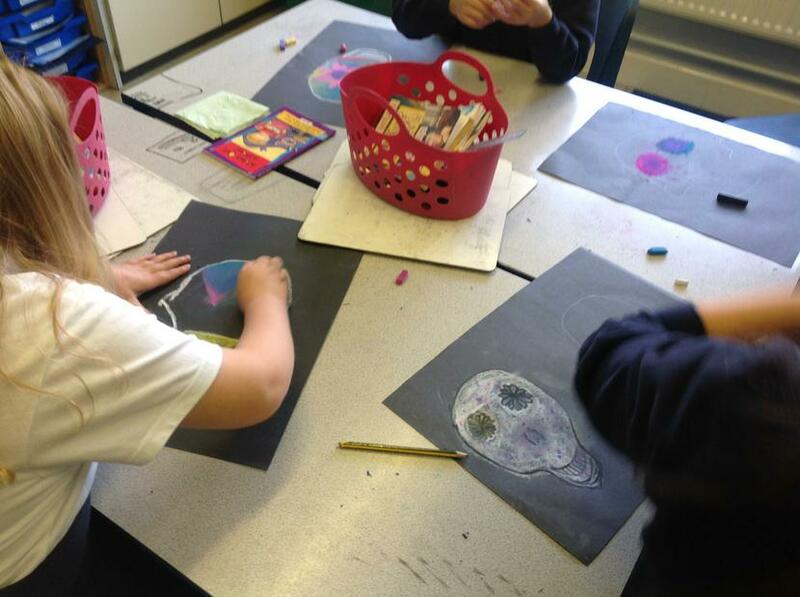 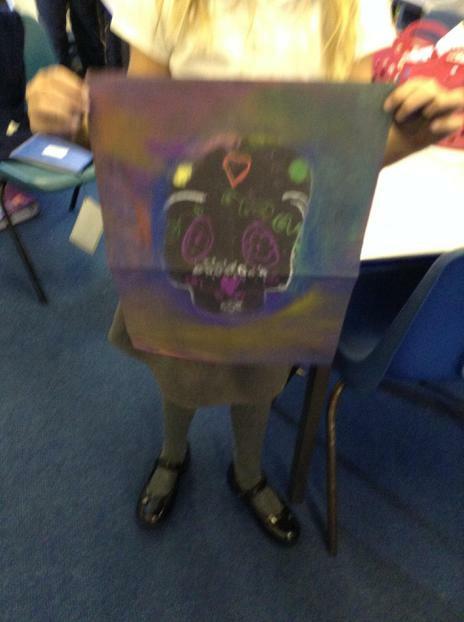 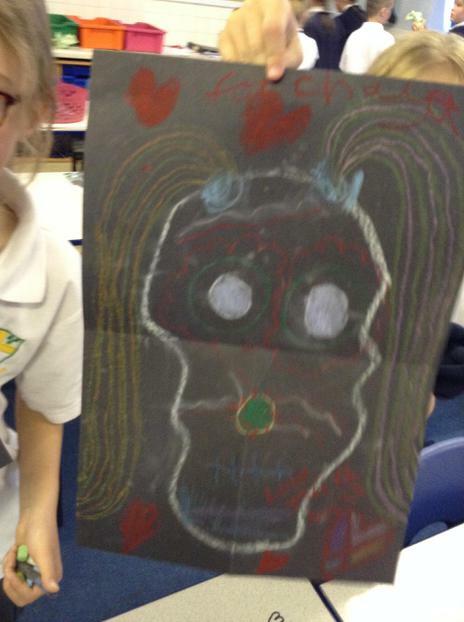 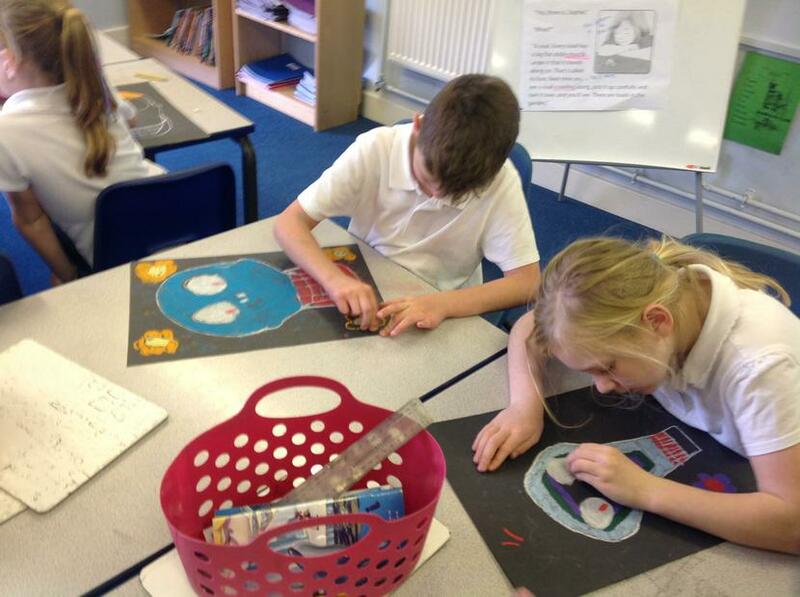 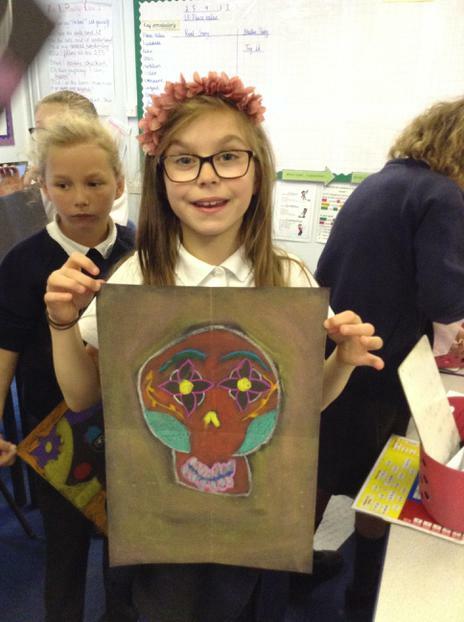 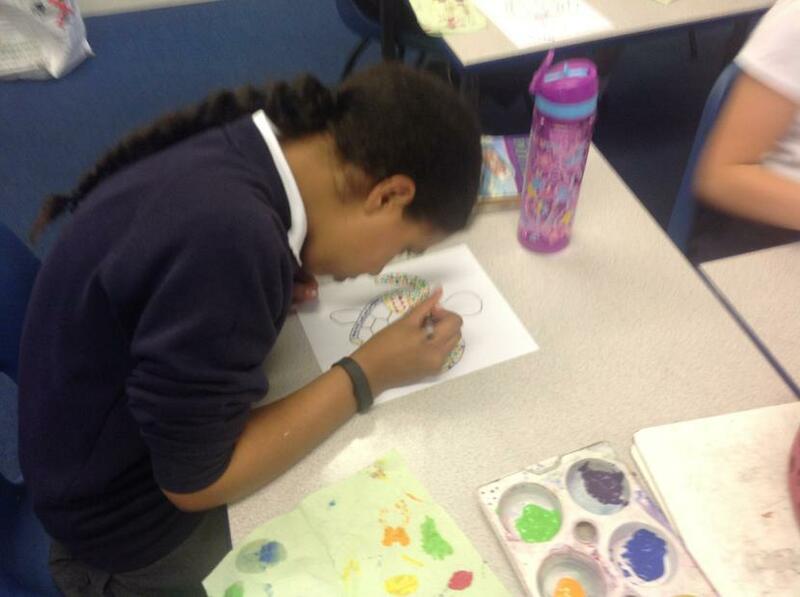 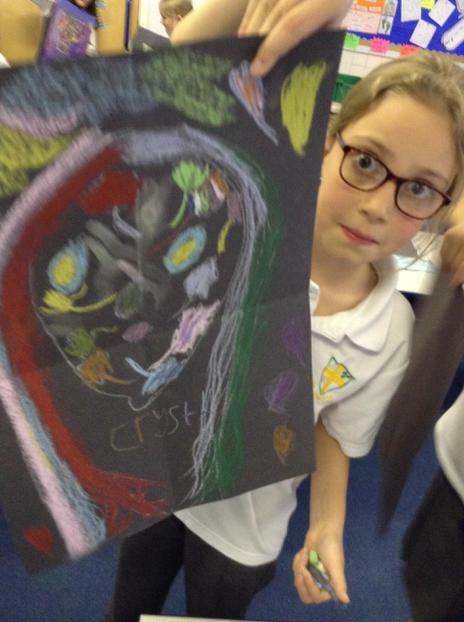 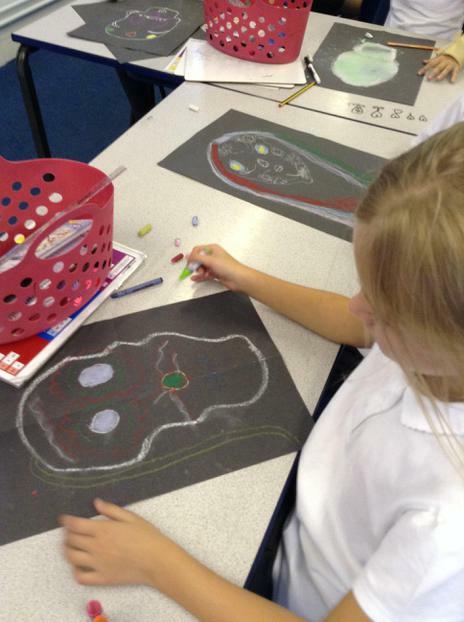 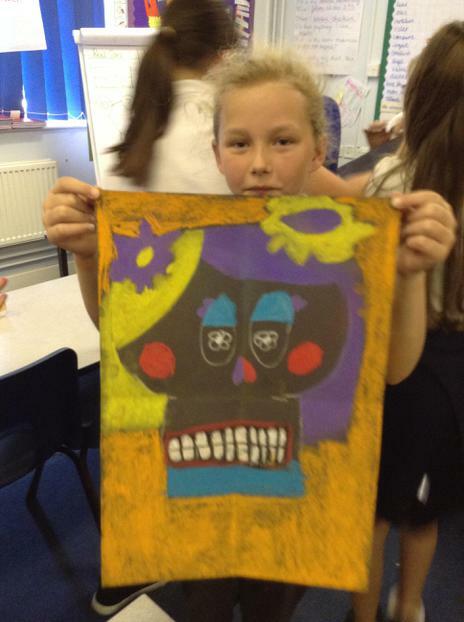 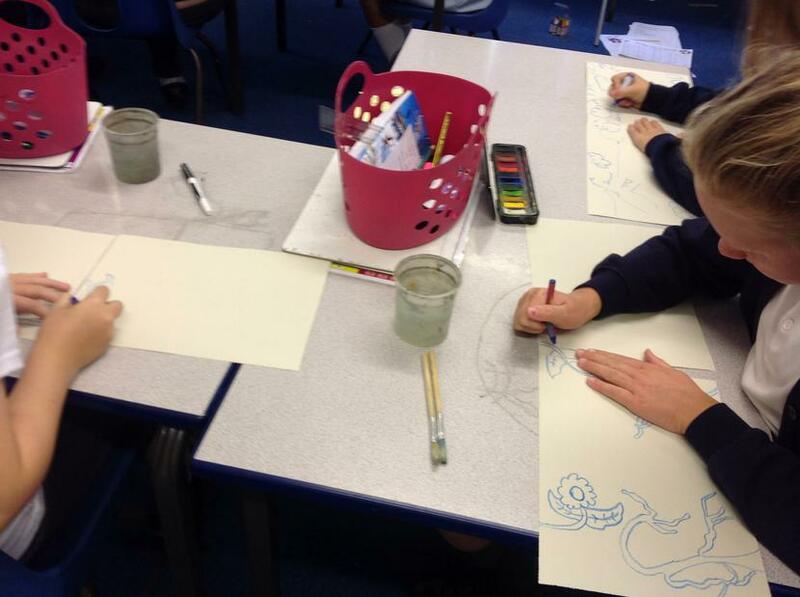 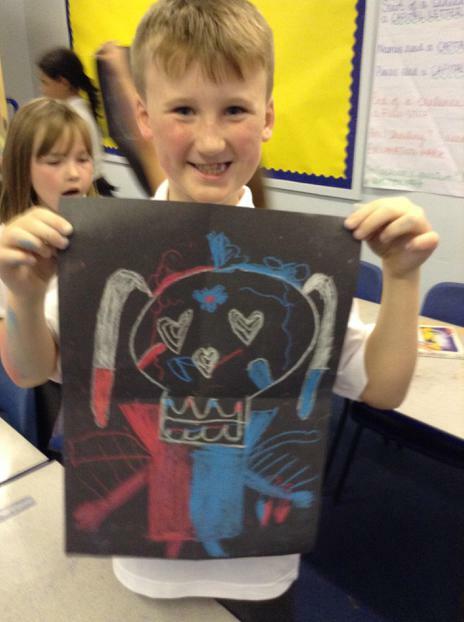 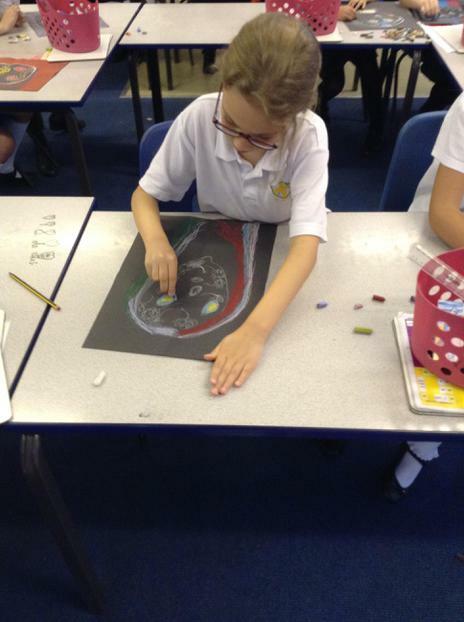 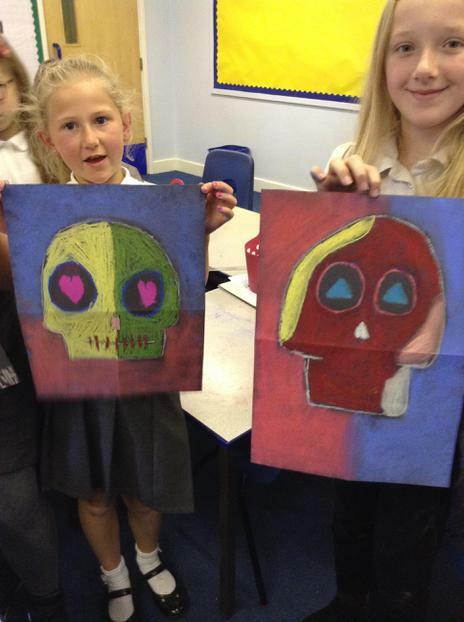 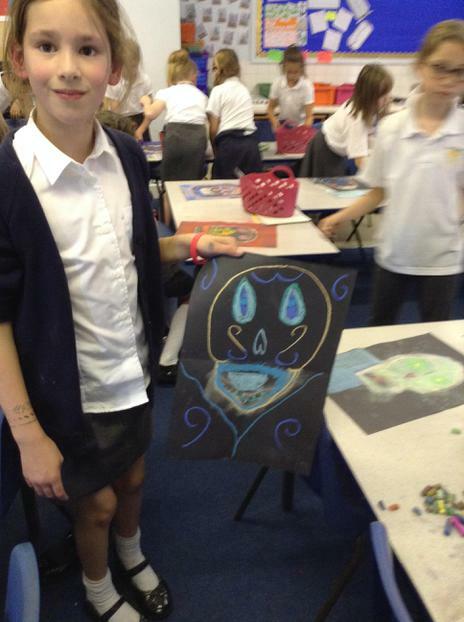 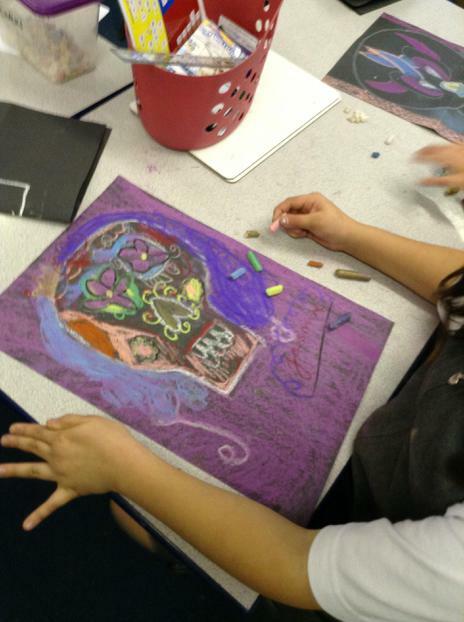 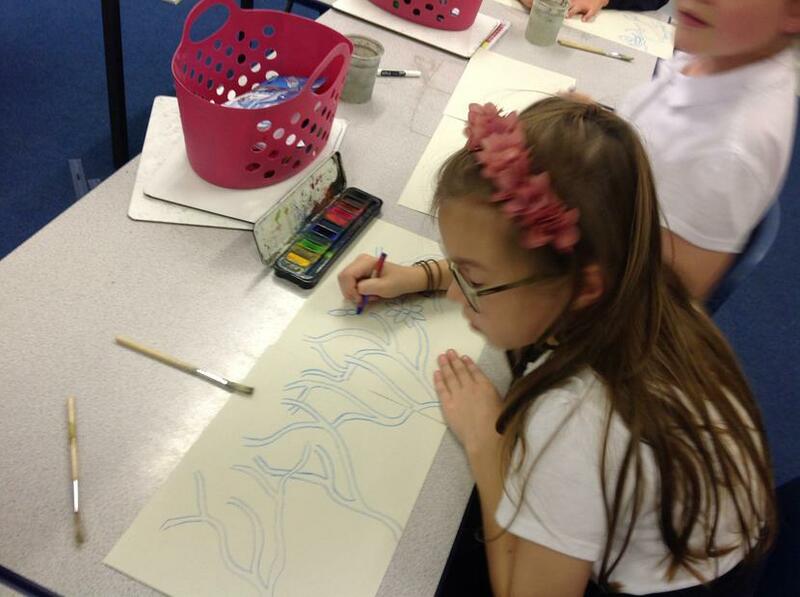 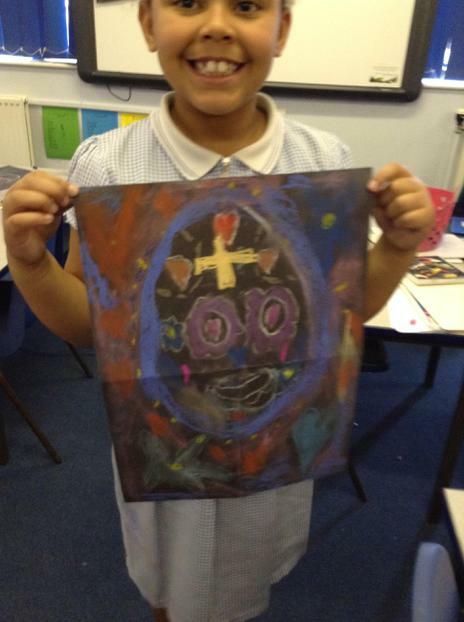 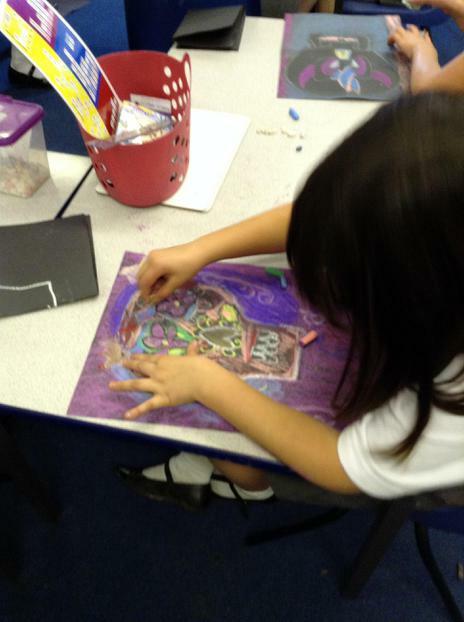 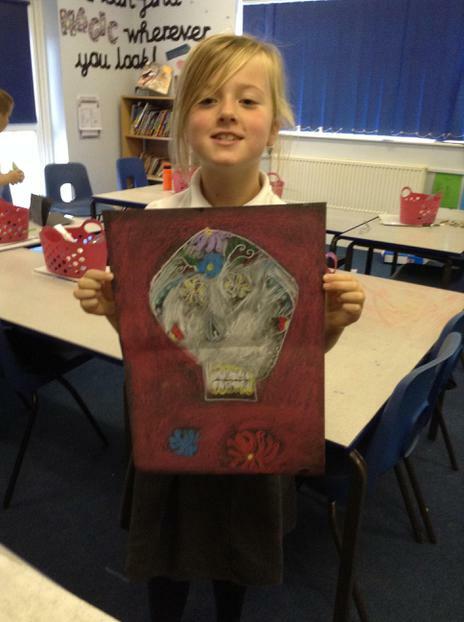 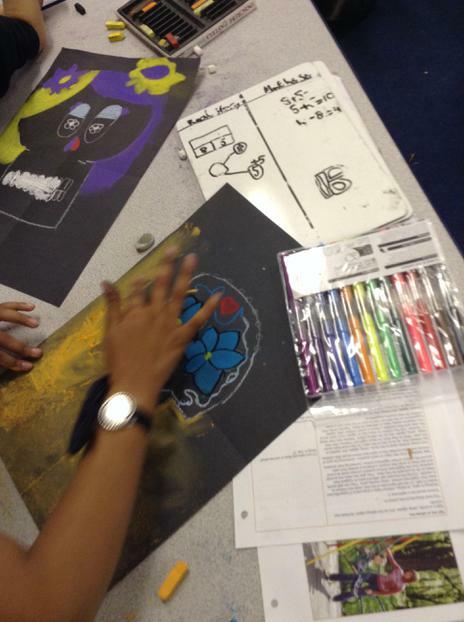 This week, art club travelled to the other side of the world to learn about aboriginal art! 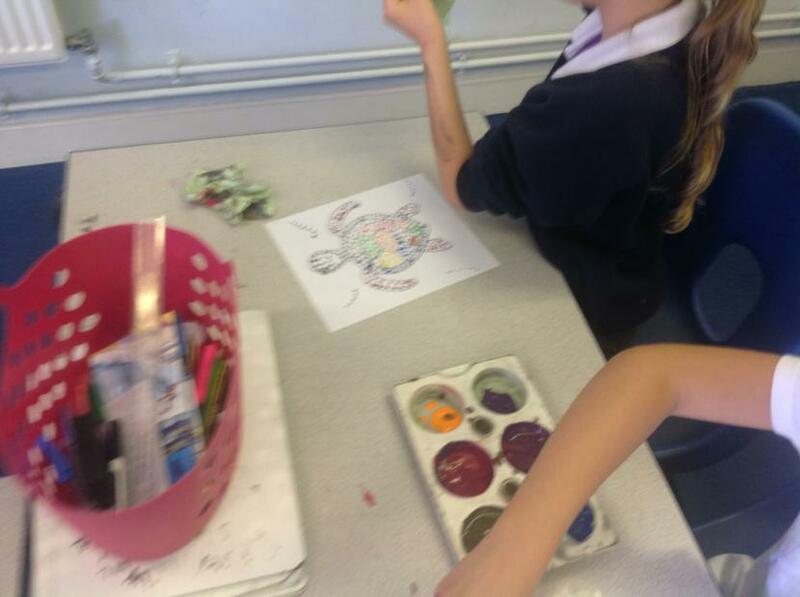 The aboriginals would use colours of the earth to create pictures and tell stories. 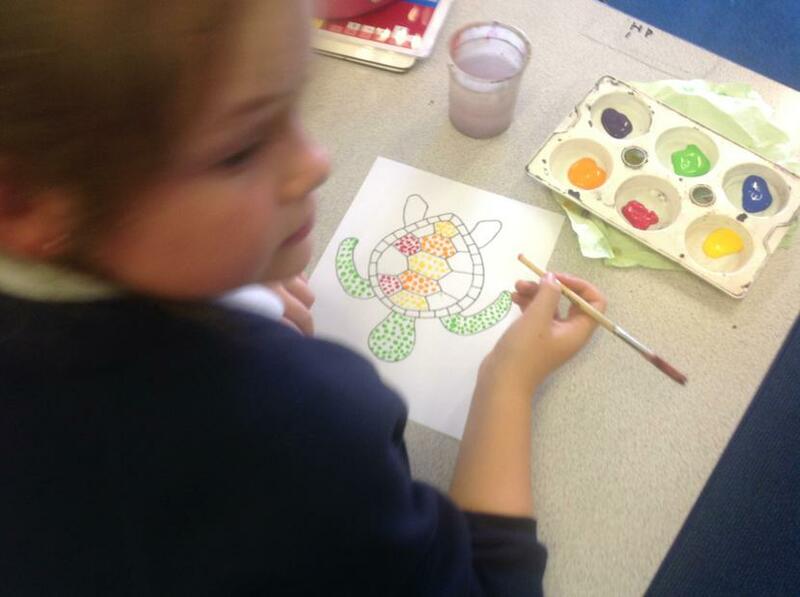 They wouldn't colour or paint in the way we do "normally" they would, instead, use a technique called pointillism. 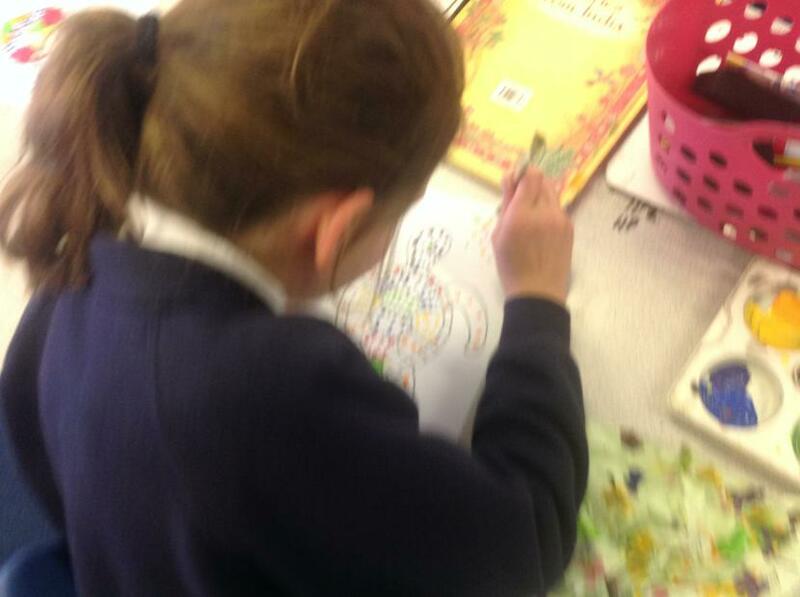 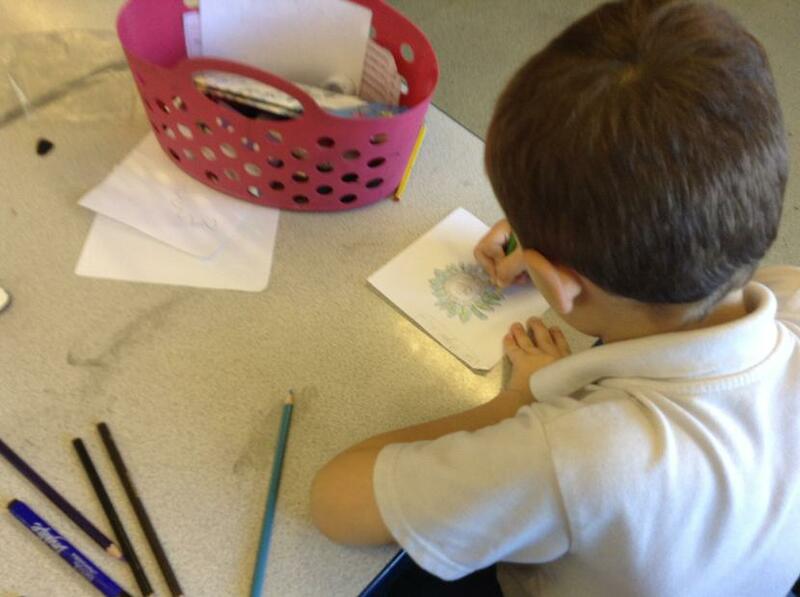 They would use sticks and colour in their art using dots. 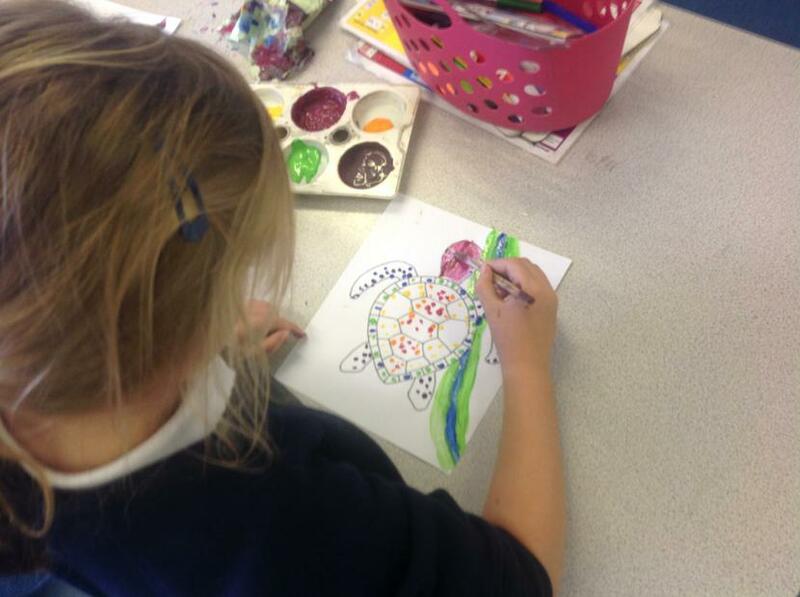 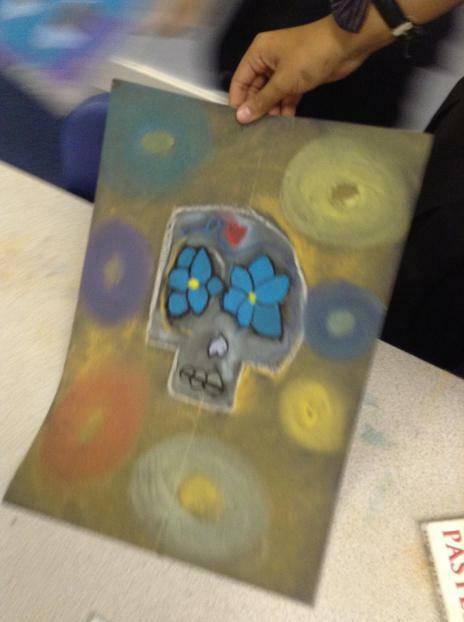 We took a modern day approach to this and used poster paints and the wooden end of a paintbrush to create our dots. 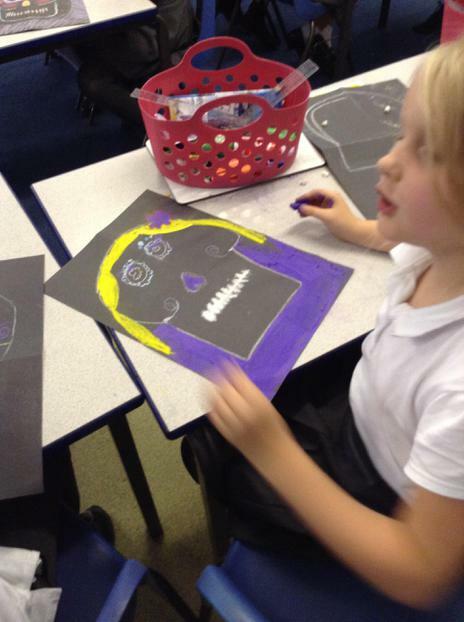 This week we travelled all the way to Mexico for the Day of the Dead festival. 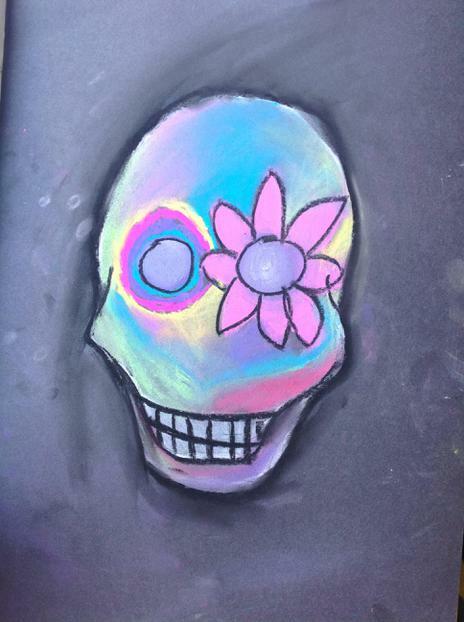 This is a festival where people celebrate the dead. 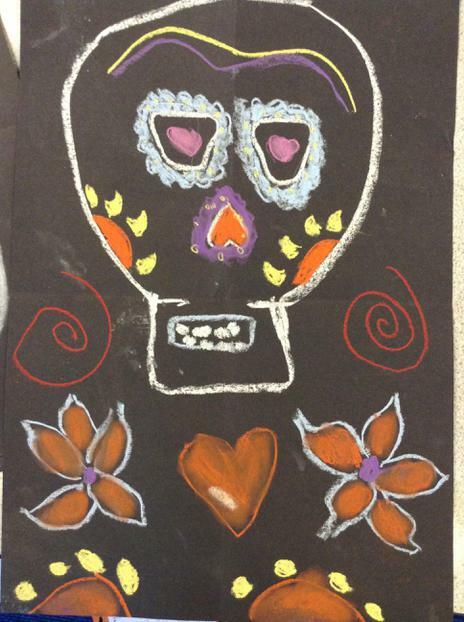 Families spend the day celebrating and remembering the lives of people who have passed. 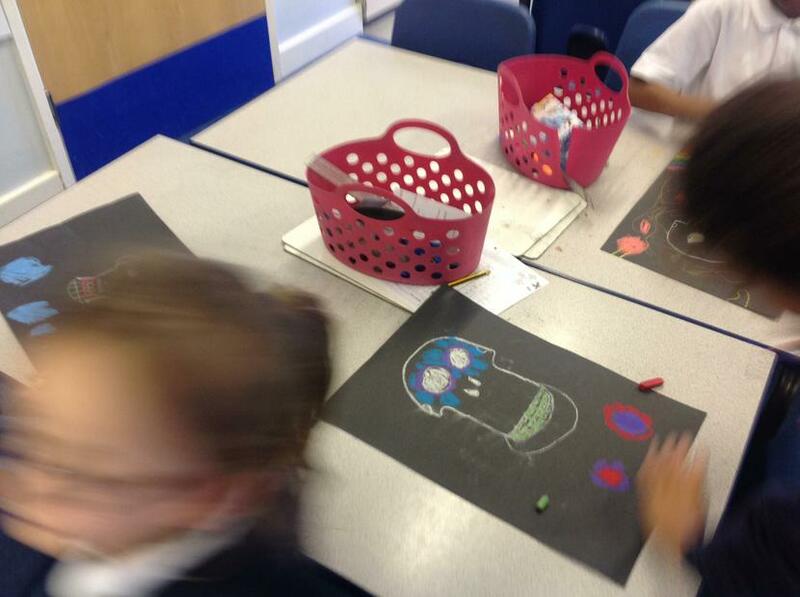 They paint their faces and create elaborate masks which we had a go at recreating. 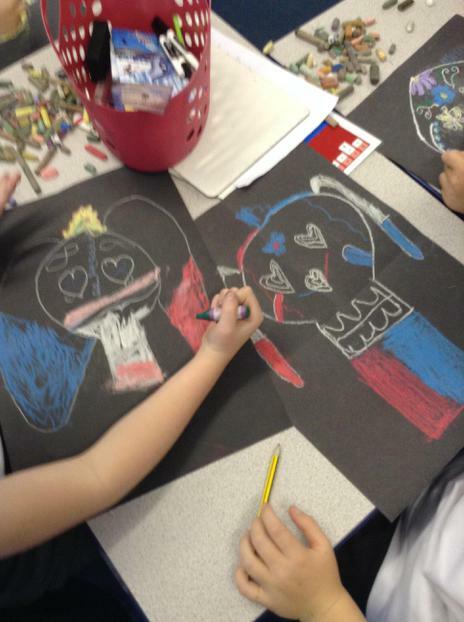 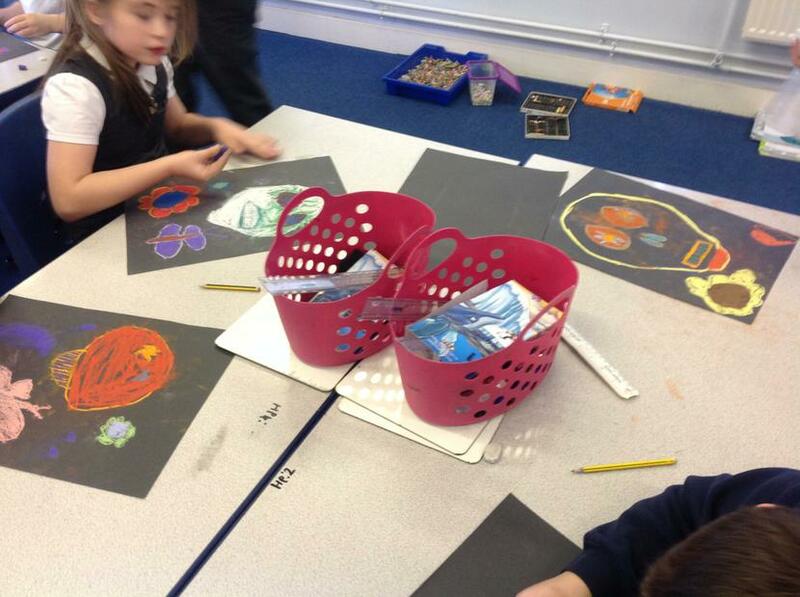 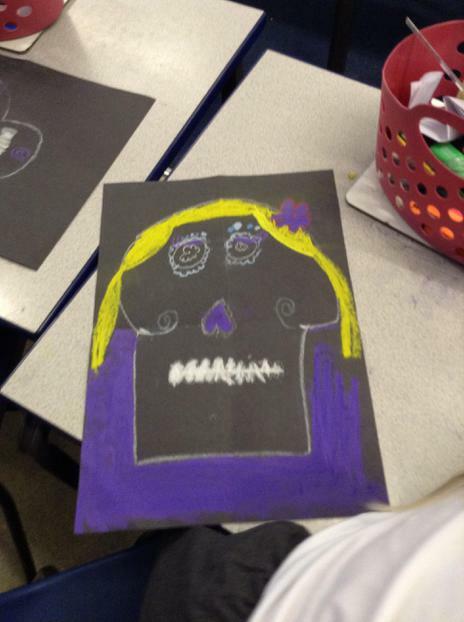 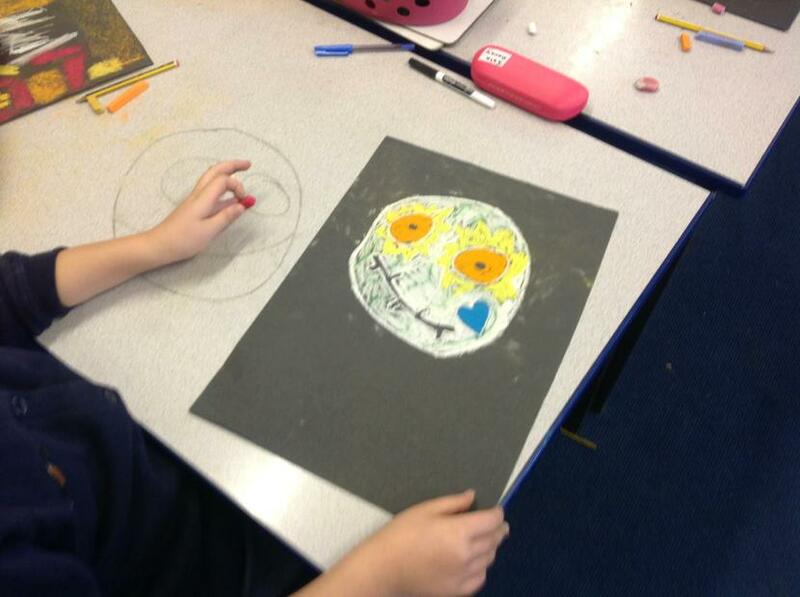 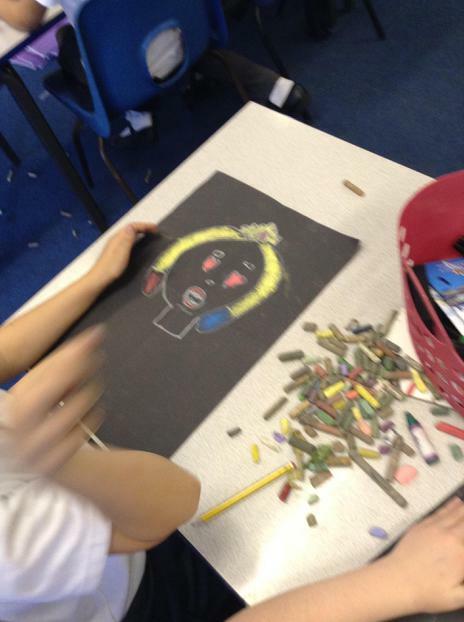 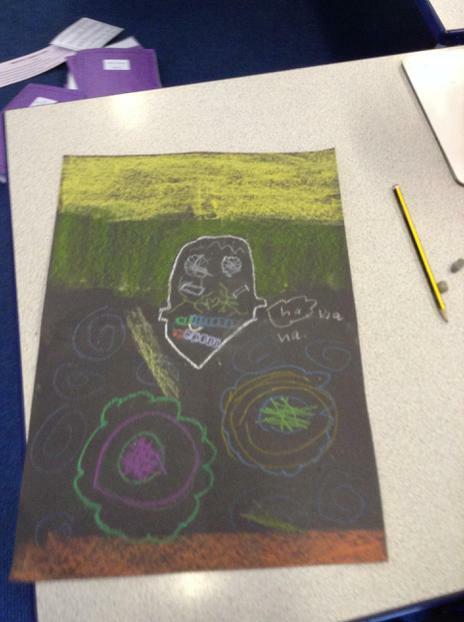 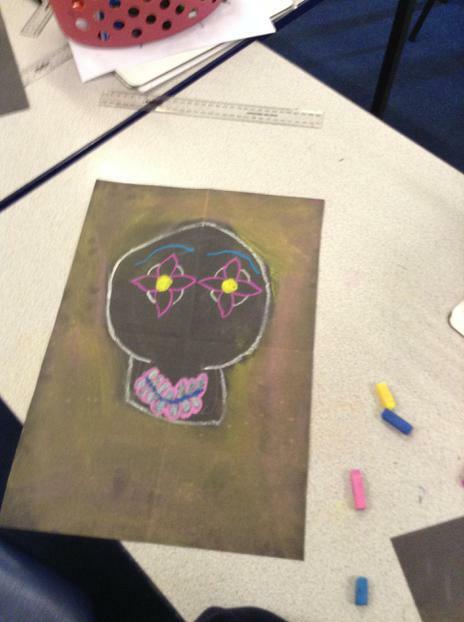 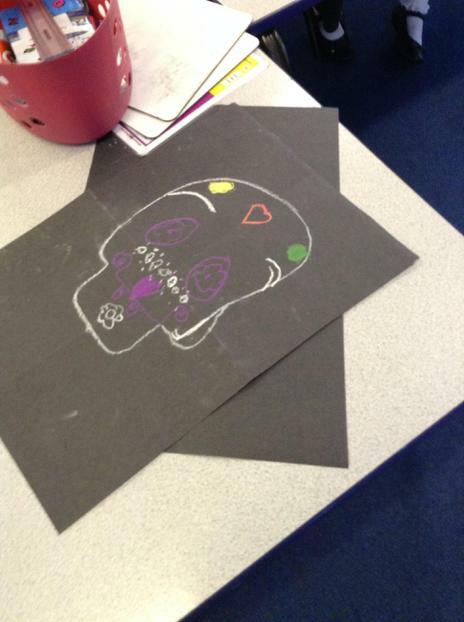 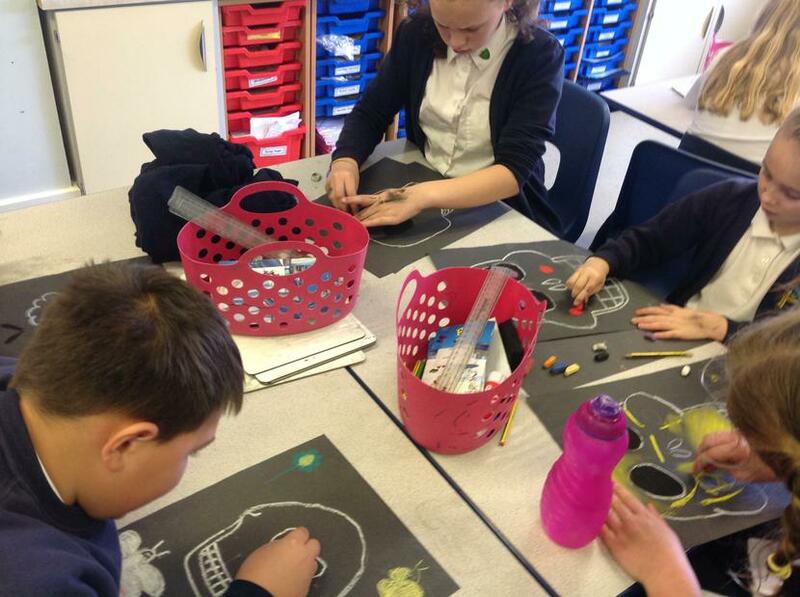 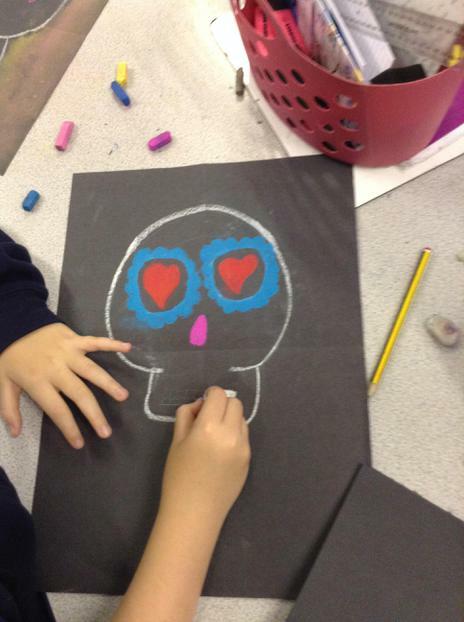 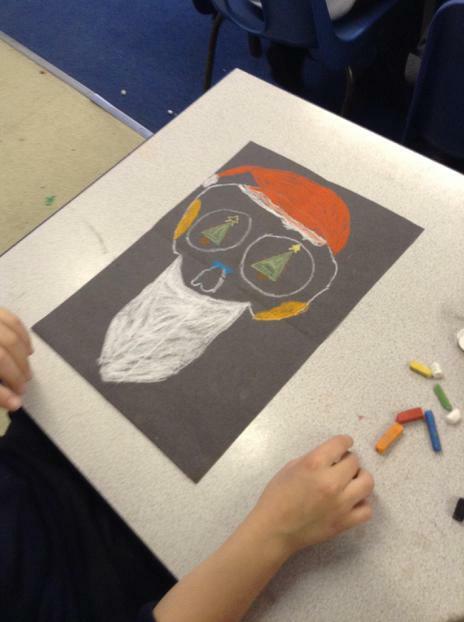 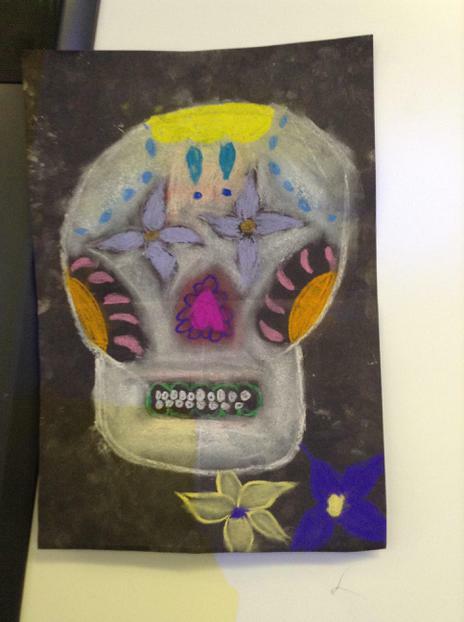 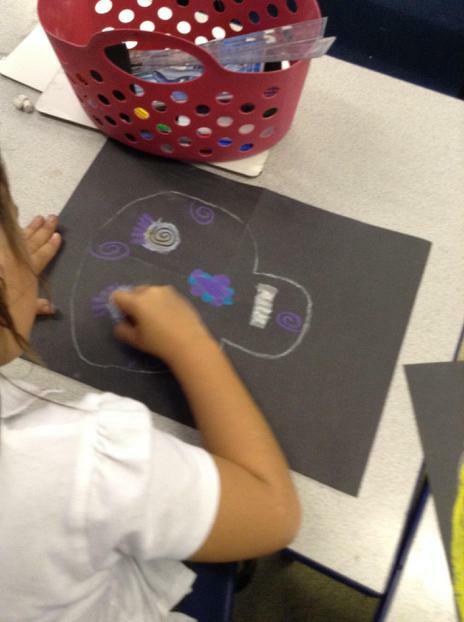 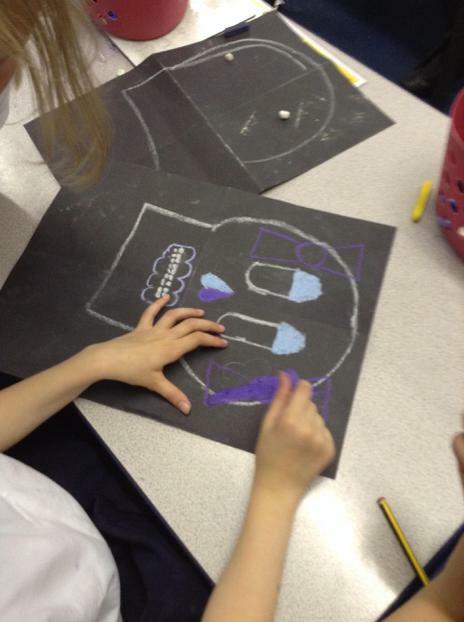 We used black paper and chalk to produce our masterpieces! 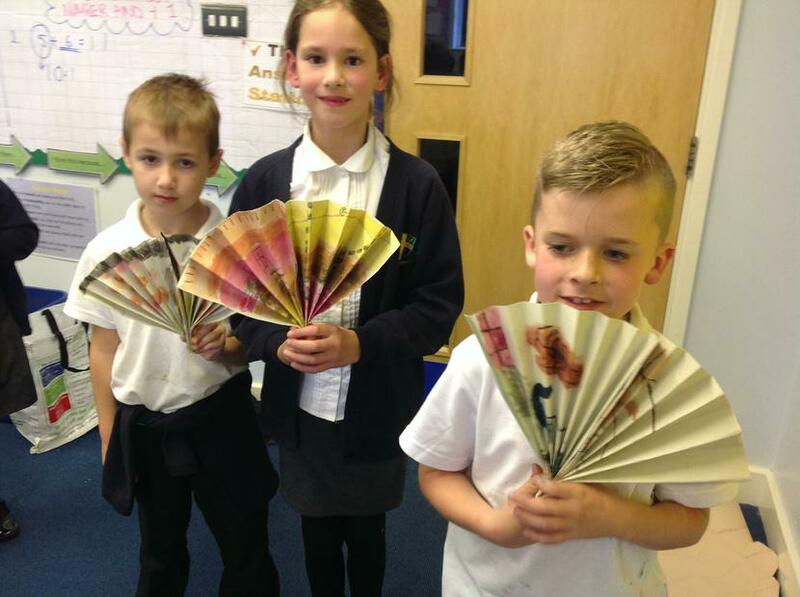 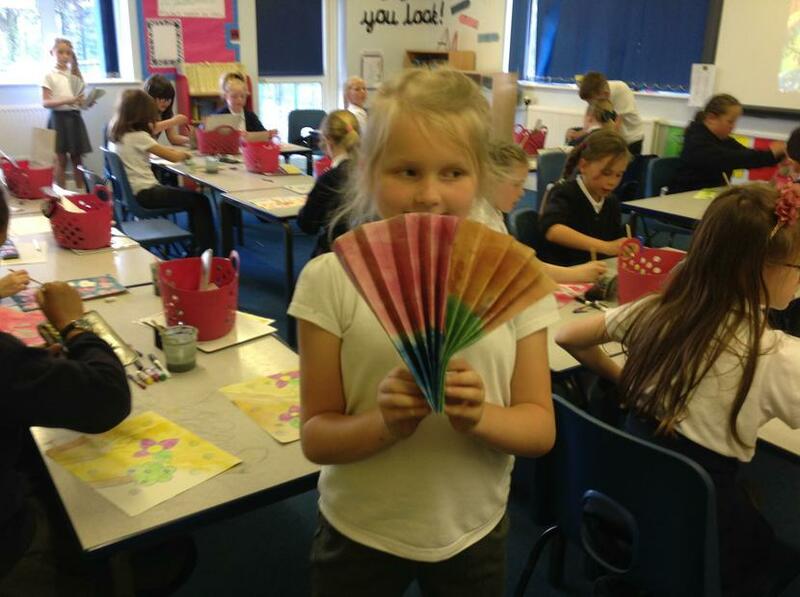 We started off far away in China and creating our very own fans. 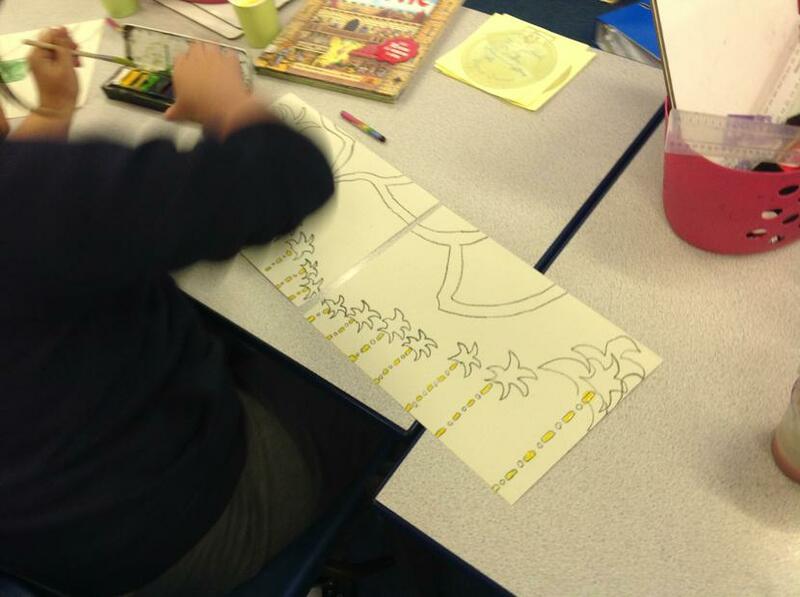 We looked at different patterns and drawings that the fans already have and had a go at recreating and designing our own. 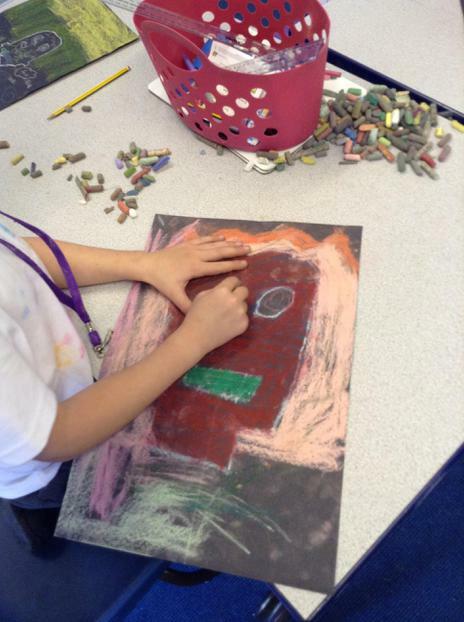 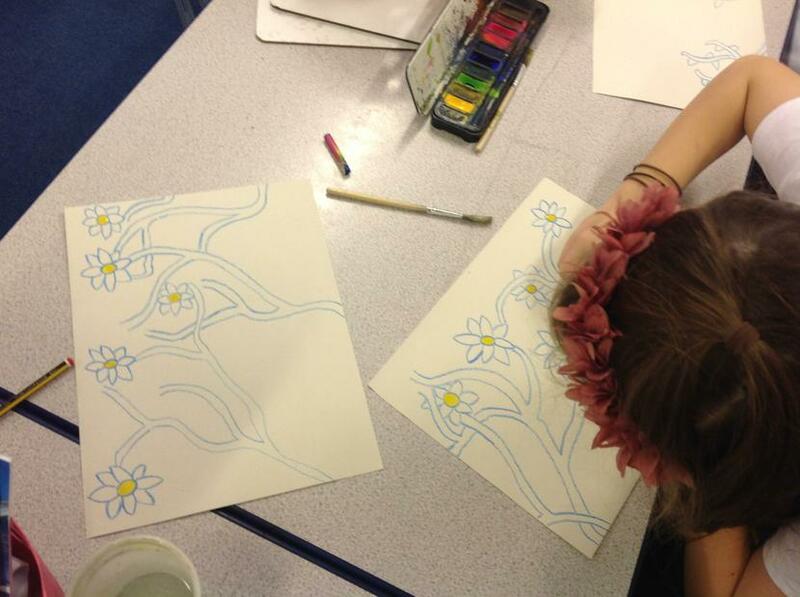 We drew the design in wax crayon and then gave the background colour using watercolours. 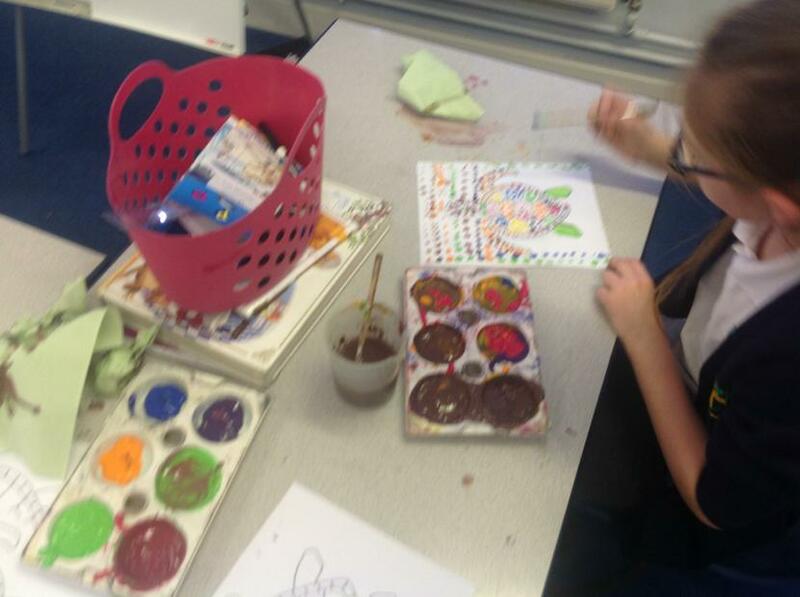 This is because it doesn't touch the wax crayon so the pattern and colours in wax stay the same!